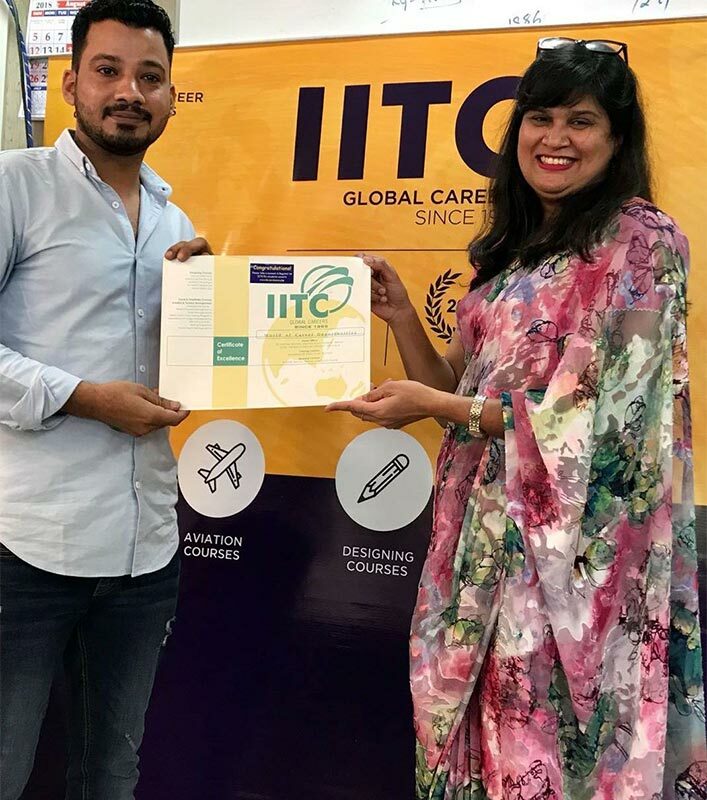 IITC Director, Mr. Sandesh Urval receives the IATA Premier Circle Award 2018 as a Regional Top Performing Training Partner from IATA Training and Consulting Bureau, Director, Mr. 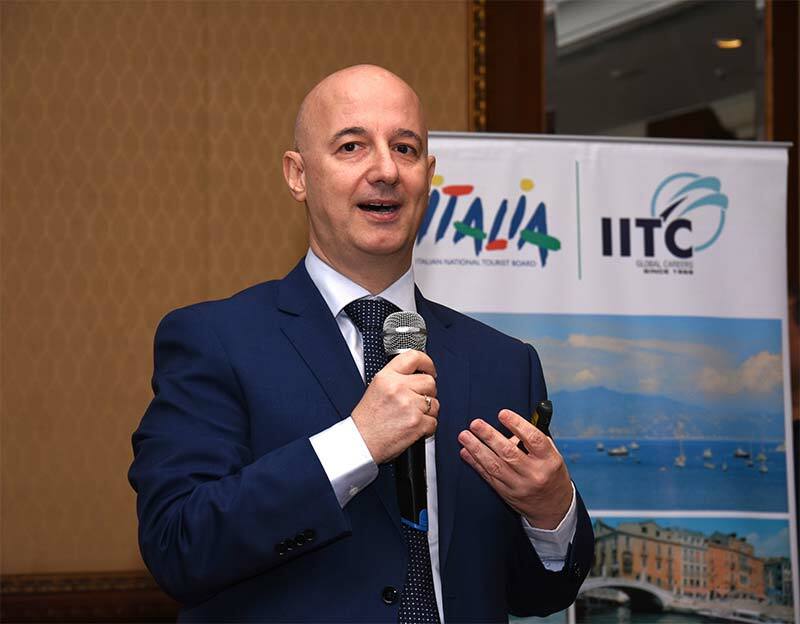 Guy Brazeau at the IATA Global Training Partner Conference held in ISTANBUL, TURKEY. 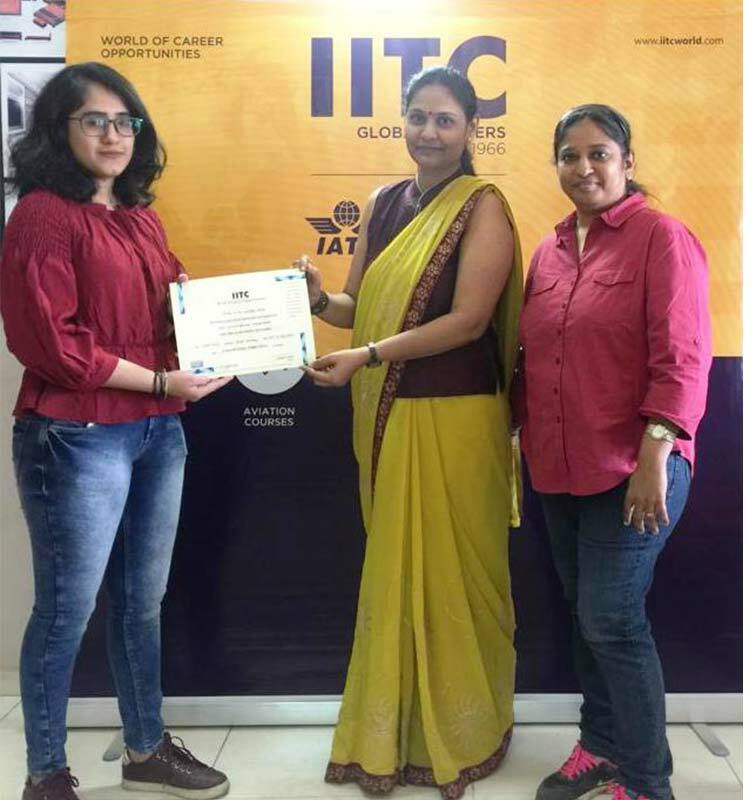 Convocation Ceremony conducted for Interior Designing and IATA Students of IITC, Ahmedabad. 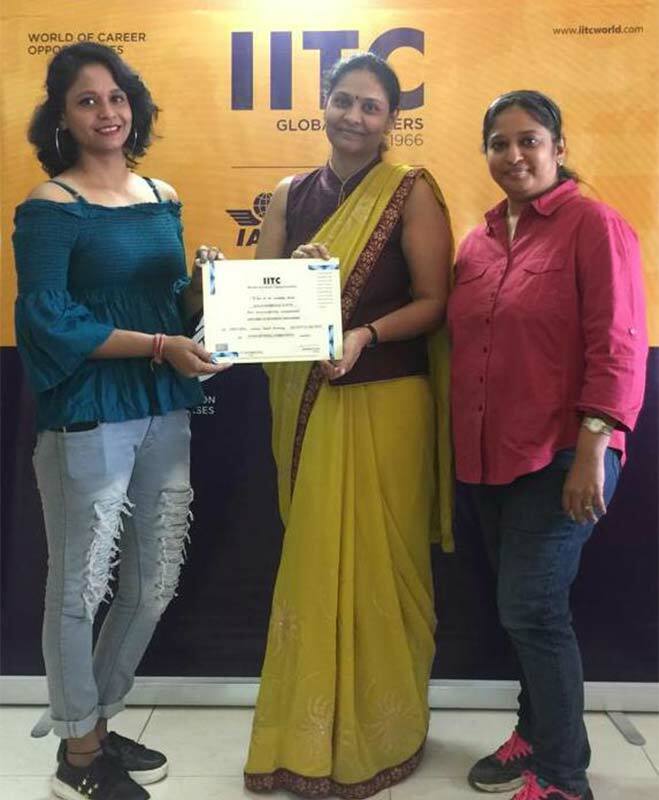 Interior Designing Students being felicitated by Faculties Mrs. Sheetal Thakkar and Mrs. Amita Mota, Senior Faculty IITC Mumbai. 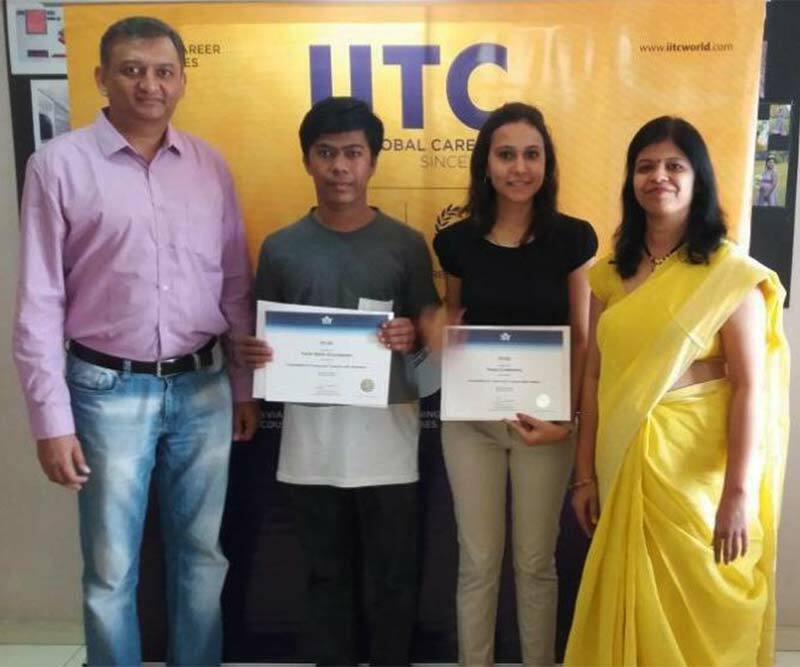 IATA Batch-2018 Students being felicitated by Faculties Mr. Chirag Patel & Ms. Shruti Thite and IITC Director, Mr. Sandesh Urval. 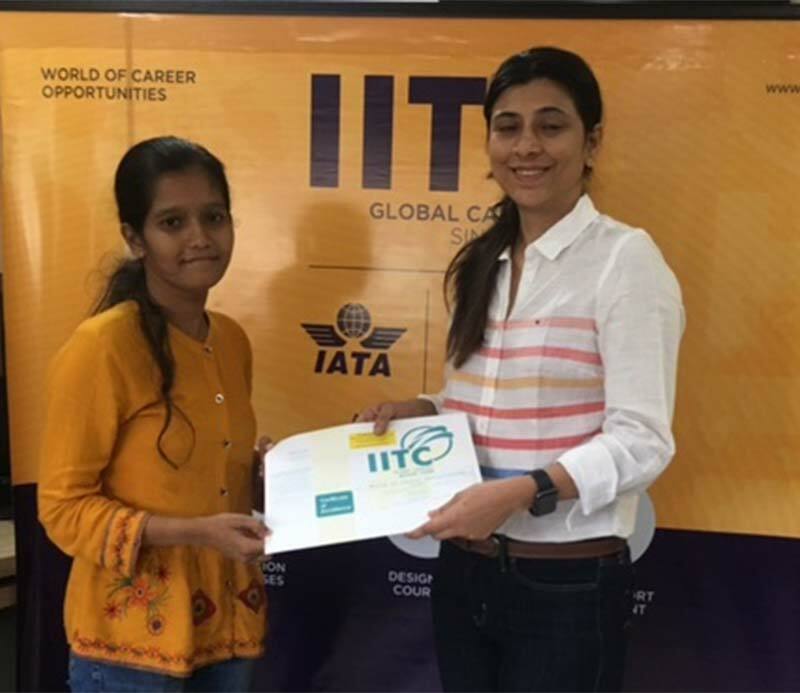 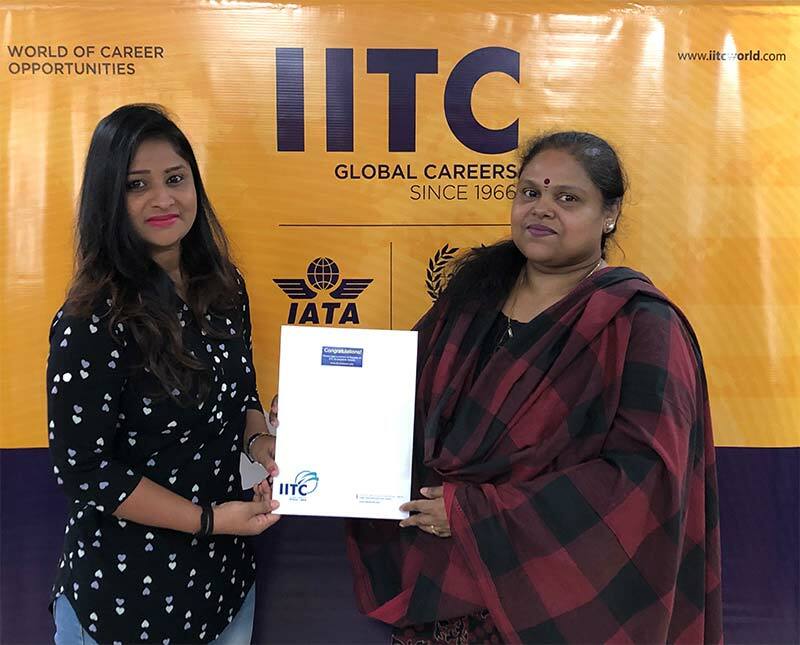 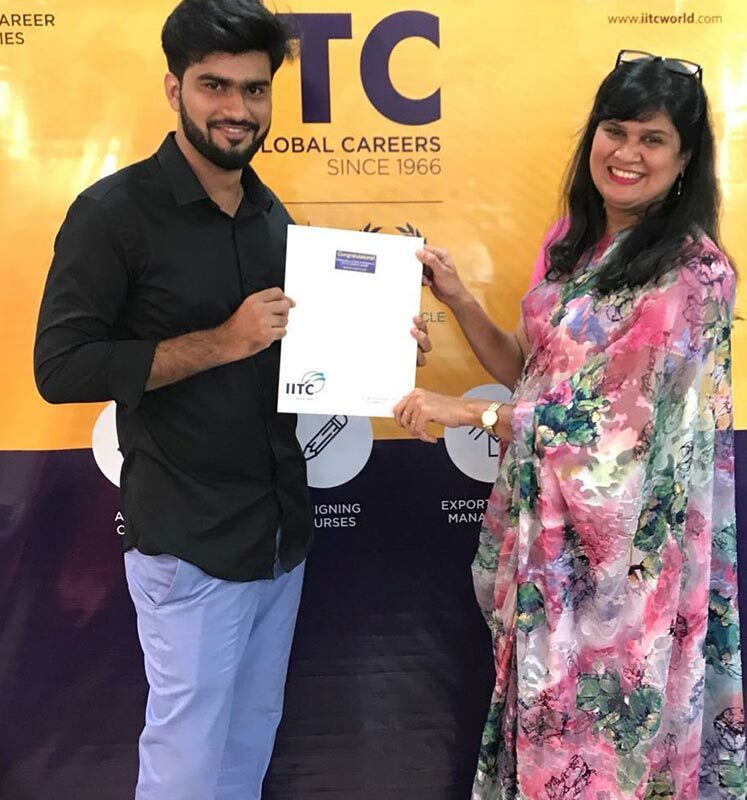 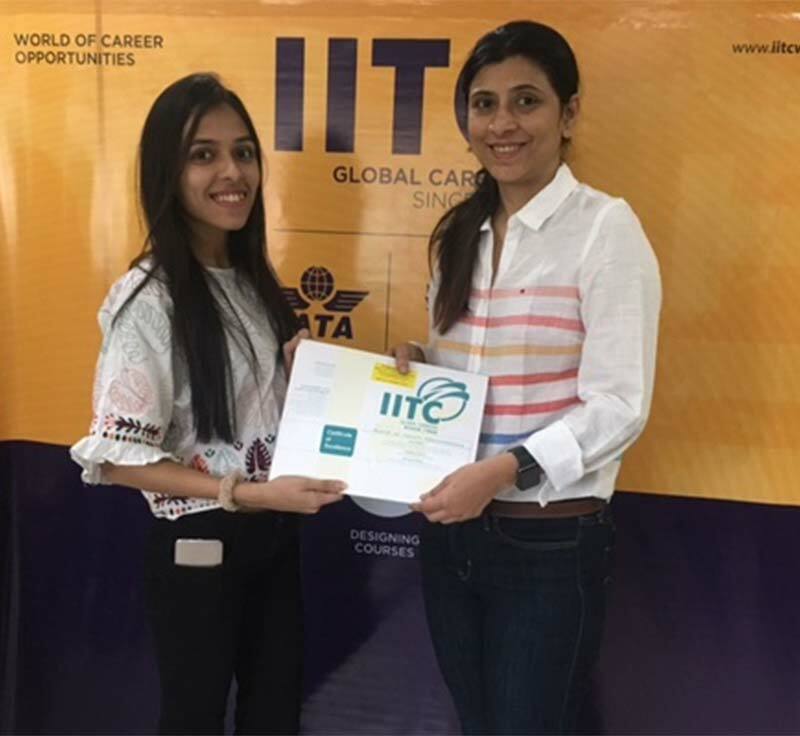 IATA Foundation in Travel & Tourism SEP 2018 batch students of IITC Navpada, Thane & Ghatkopar, Mumbai being awarded the IATA Diploma by their Faculty Ms. Vijaya Menon & Ms. Chaitali Chandan. 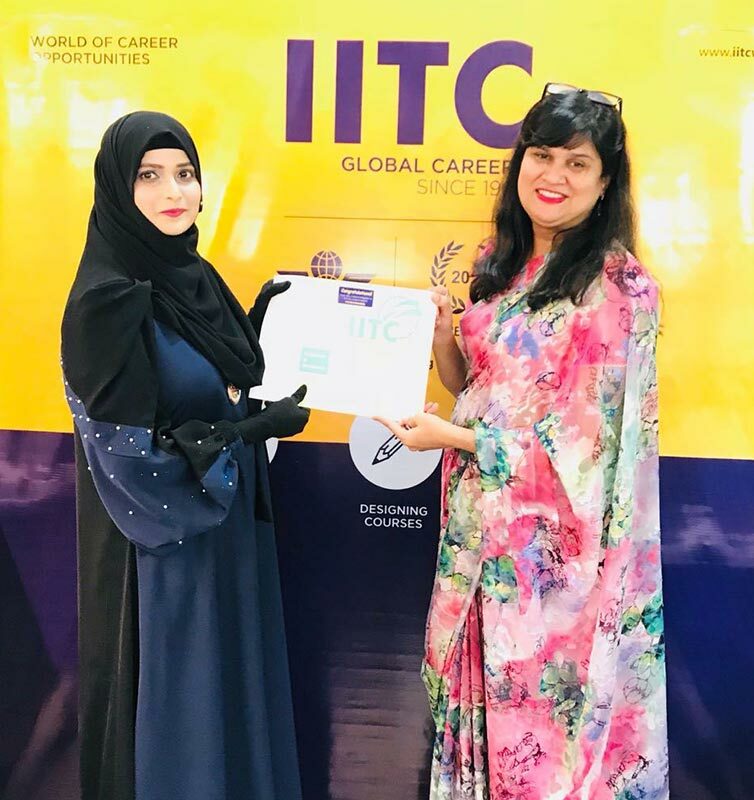 Warmest congratulations on your graduation & best wishes for a bright future. 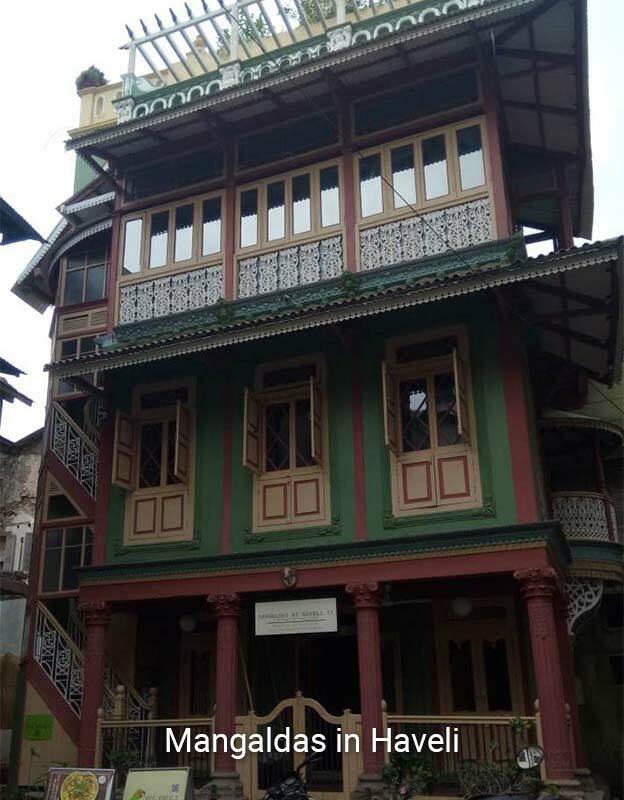 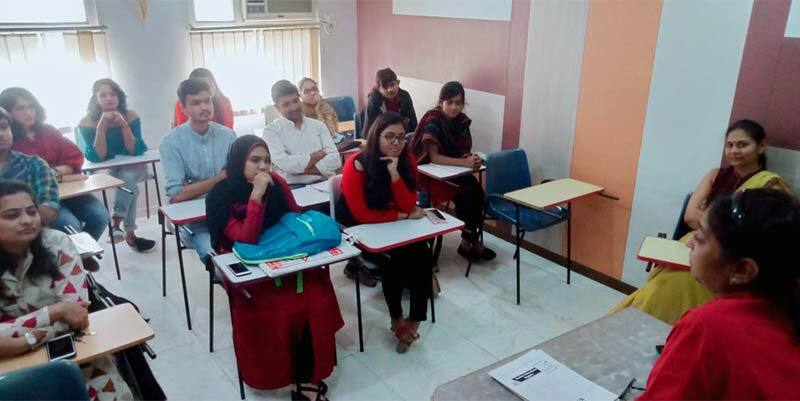 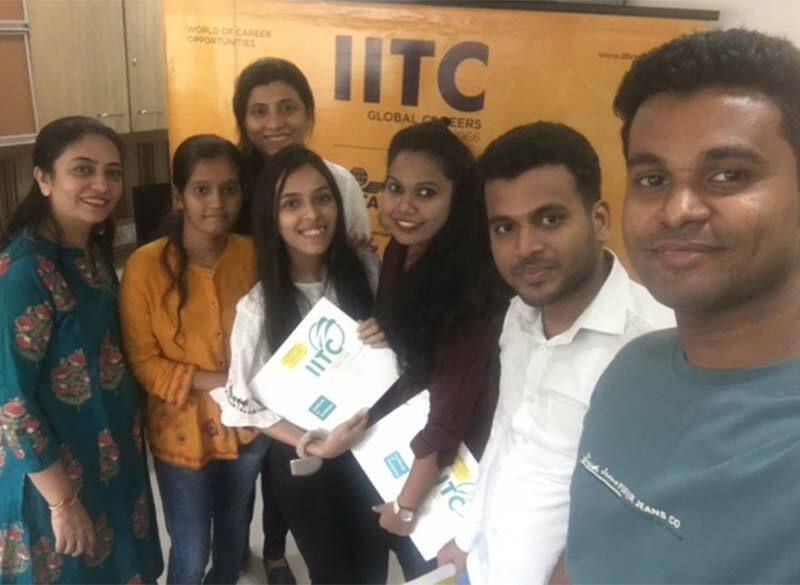 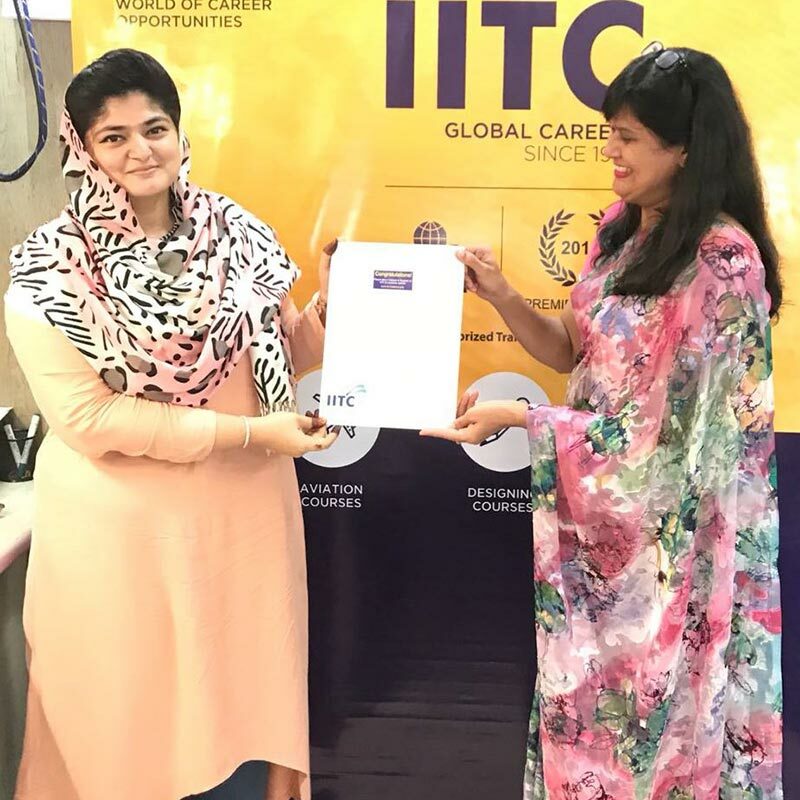 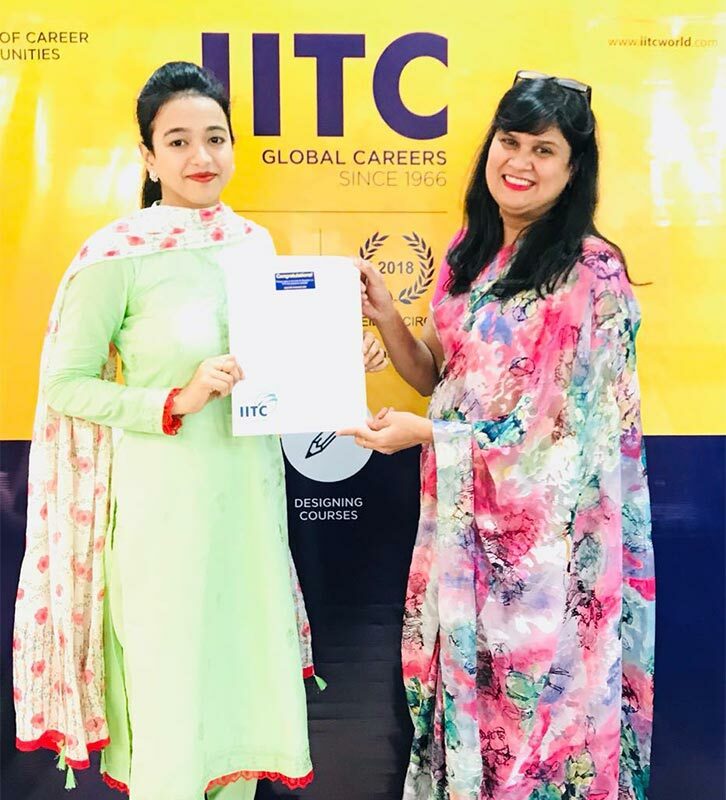 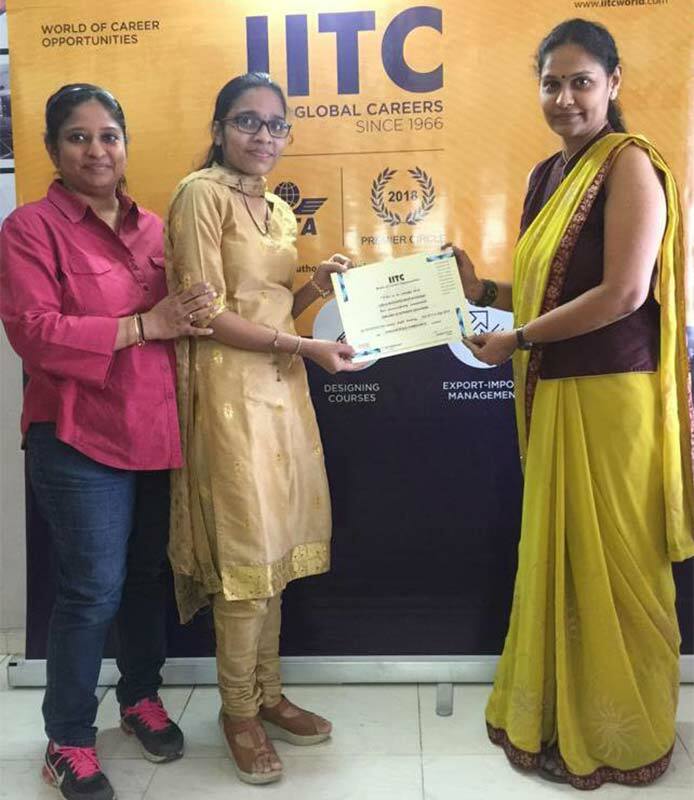 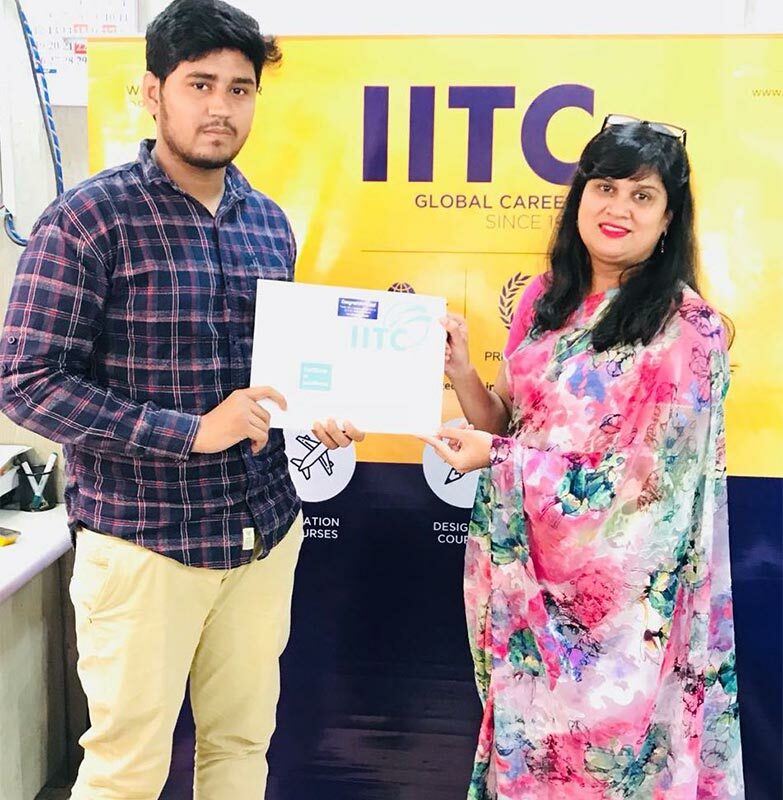 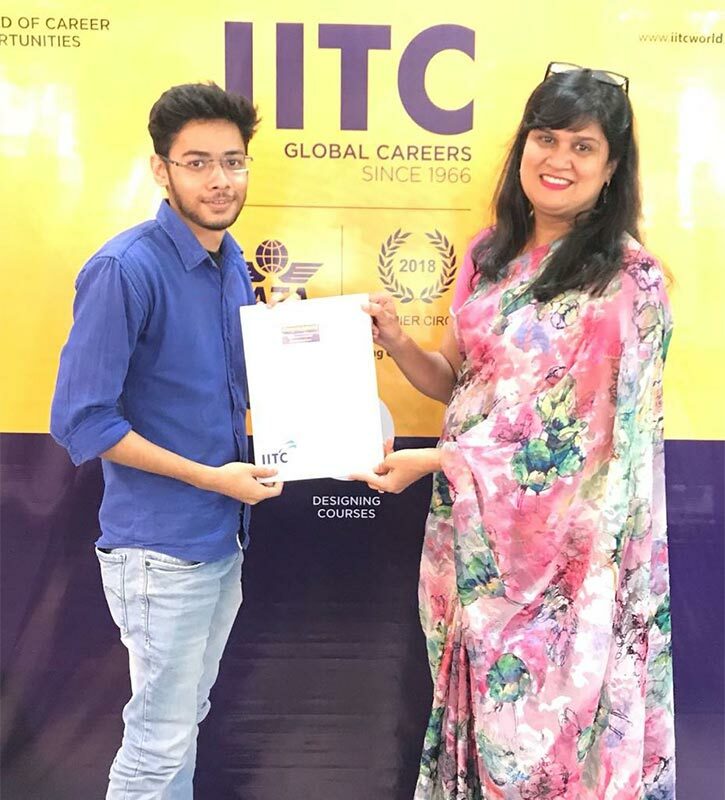 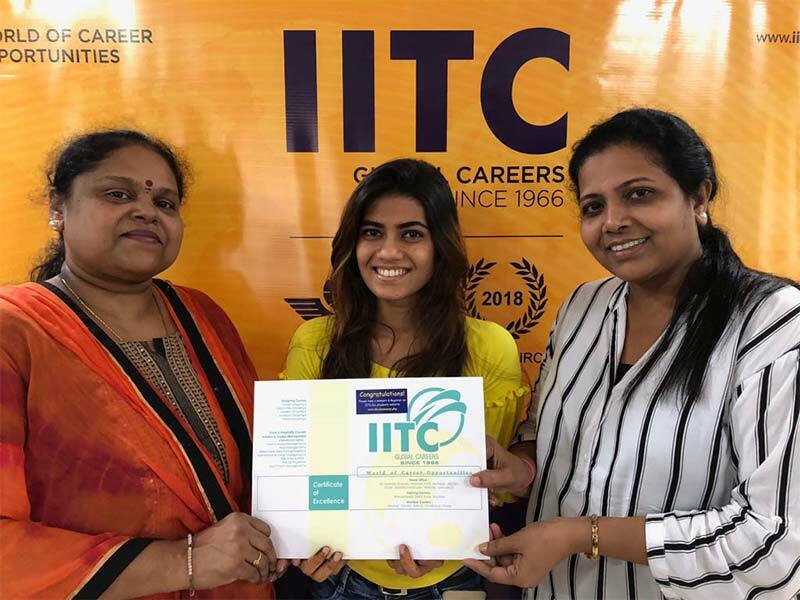 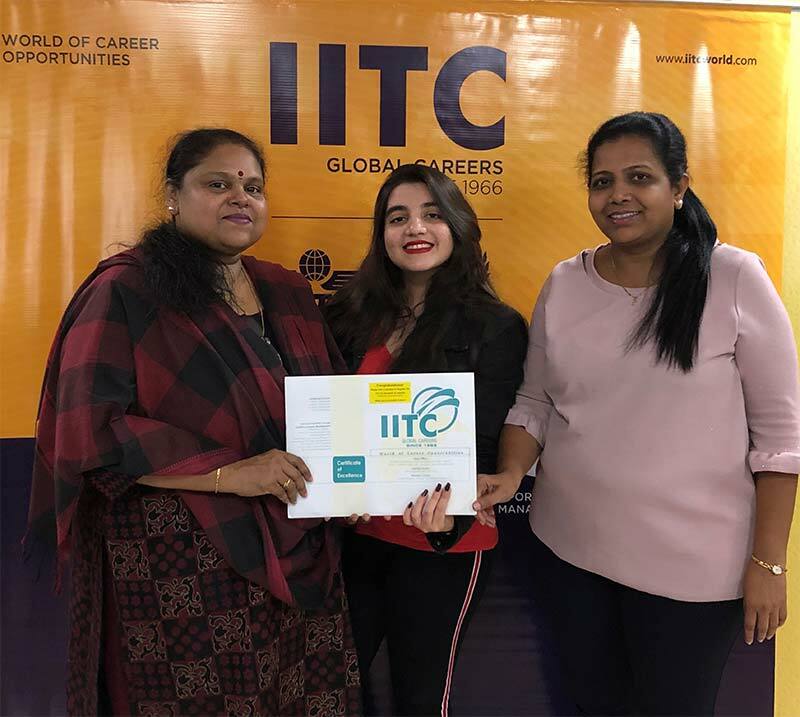 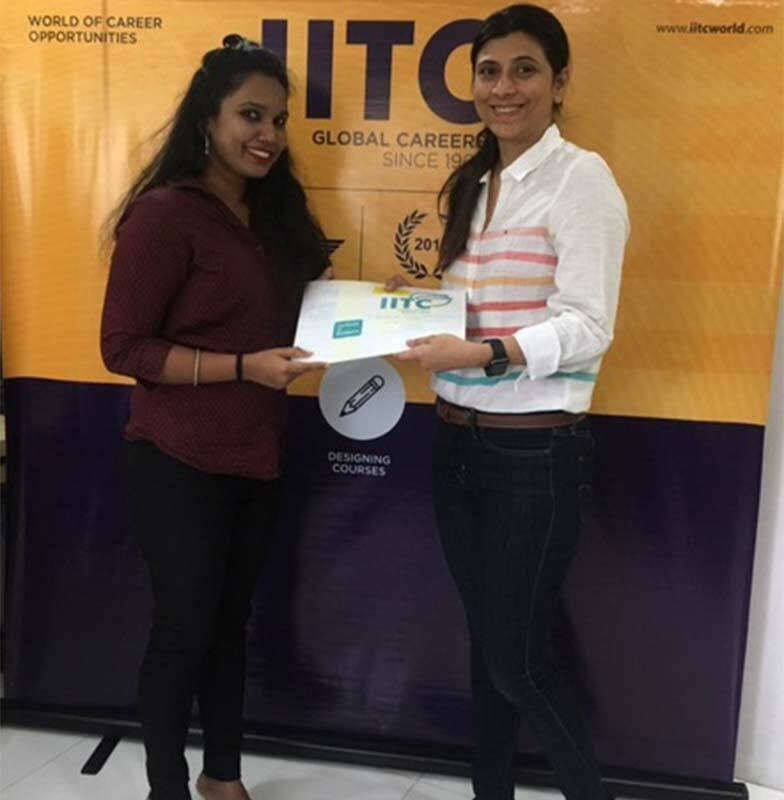 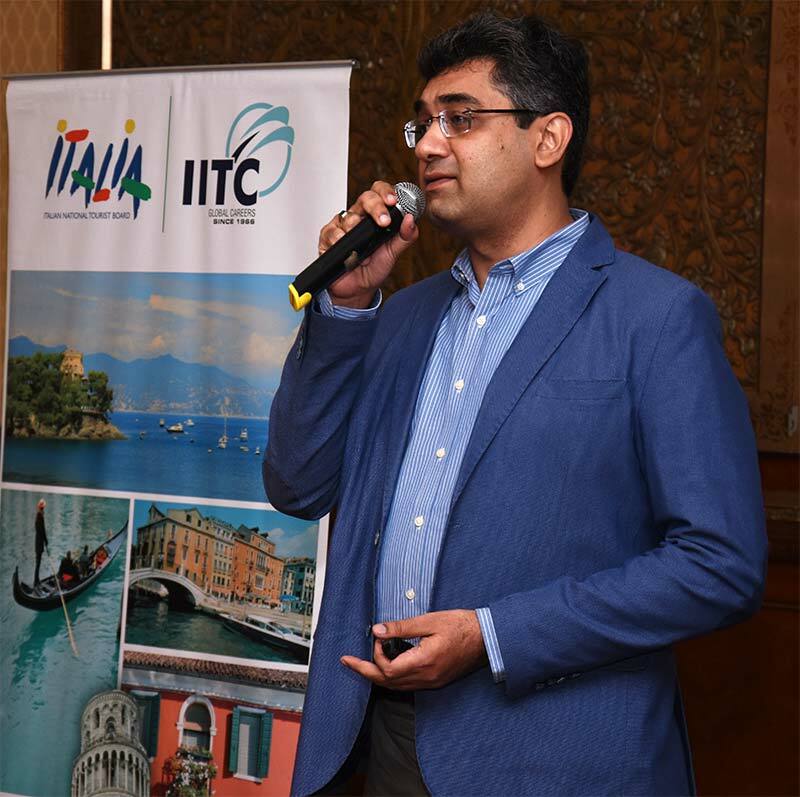 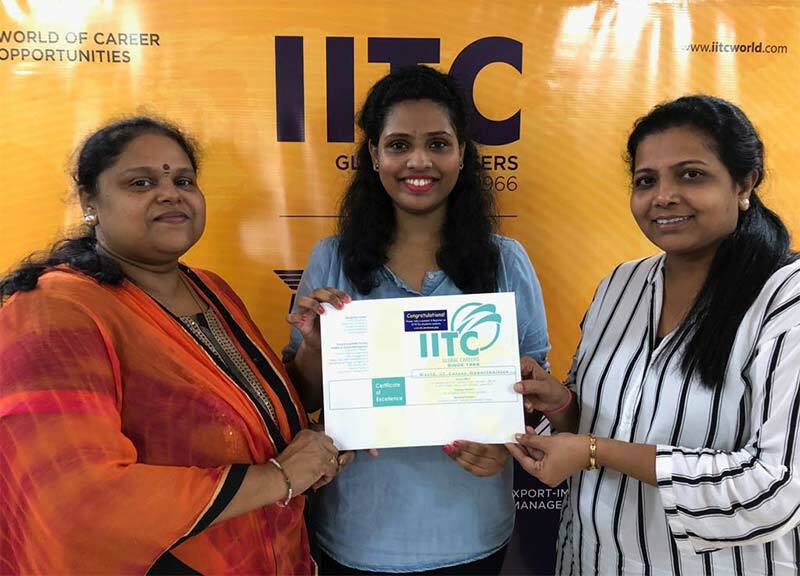 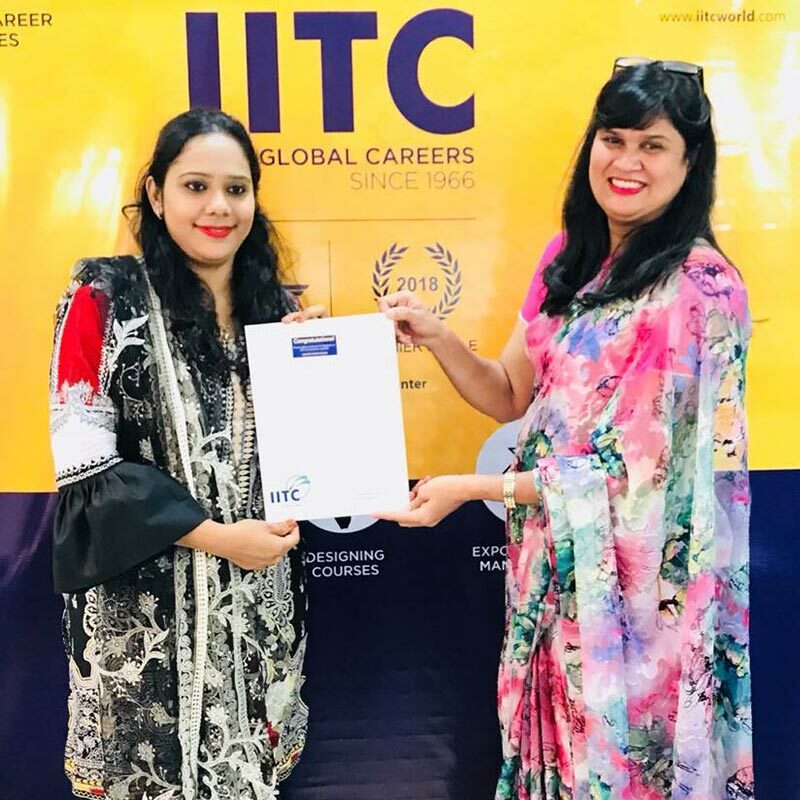 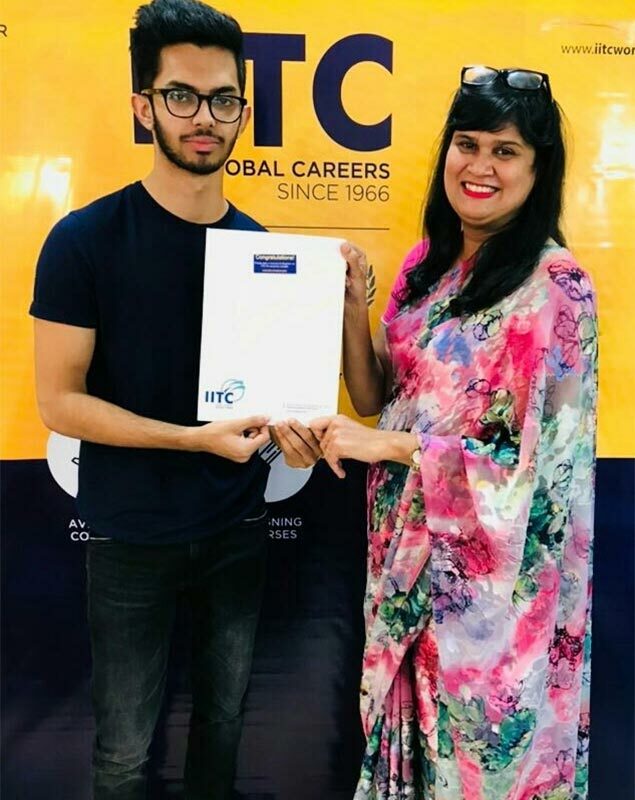 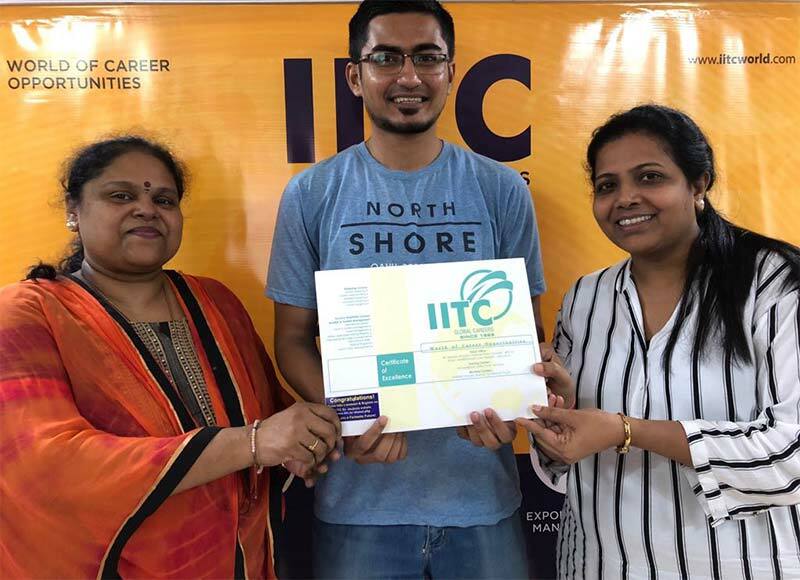 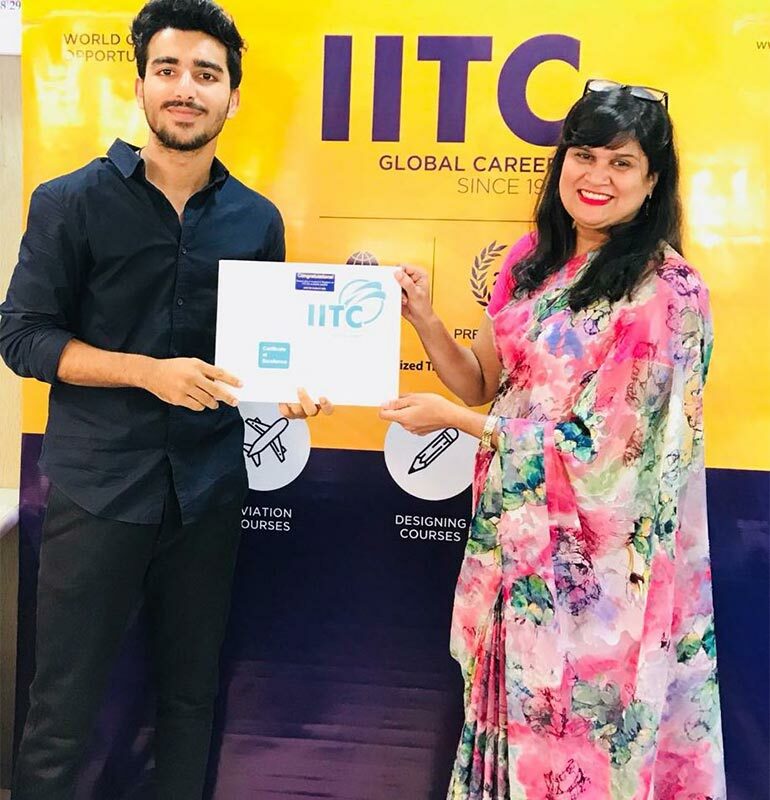 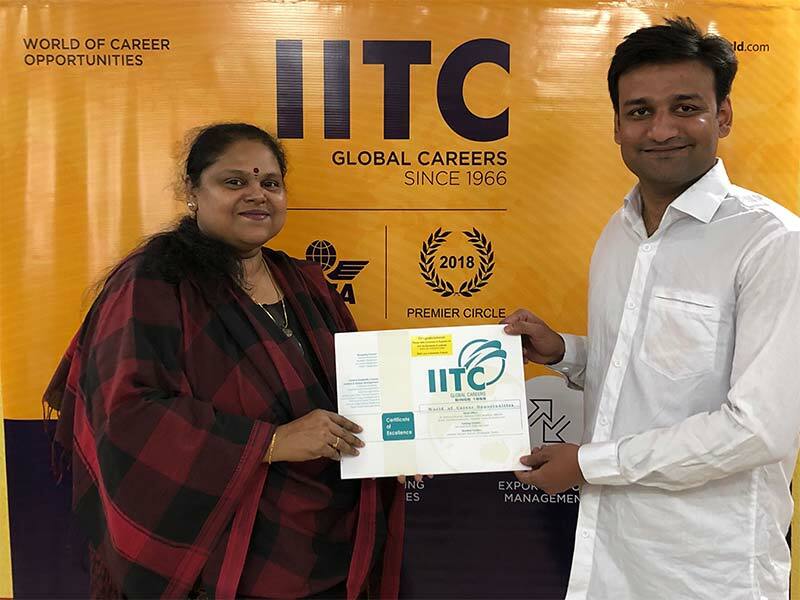 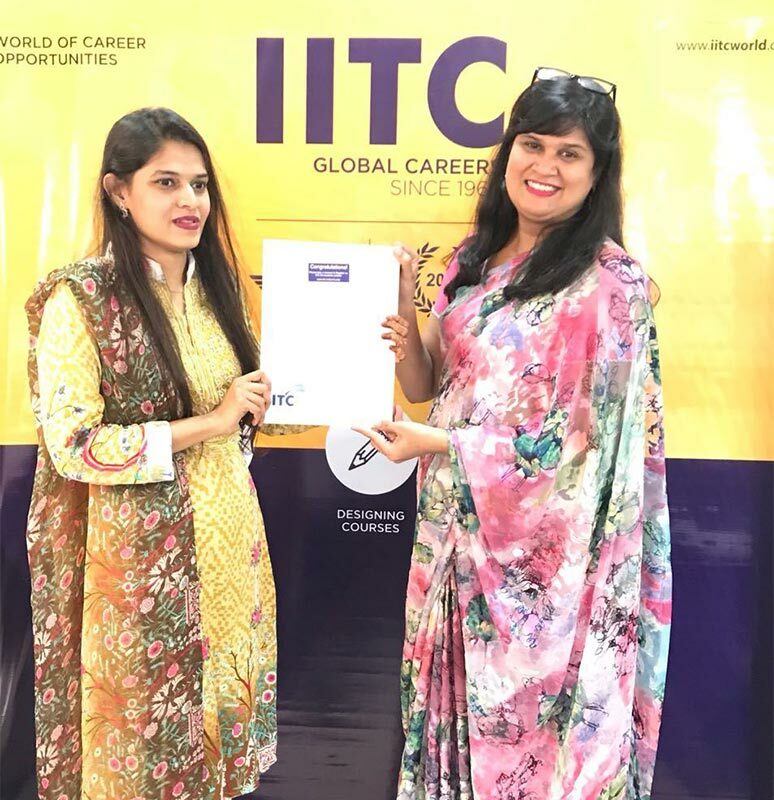 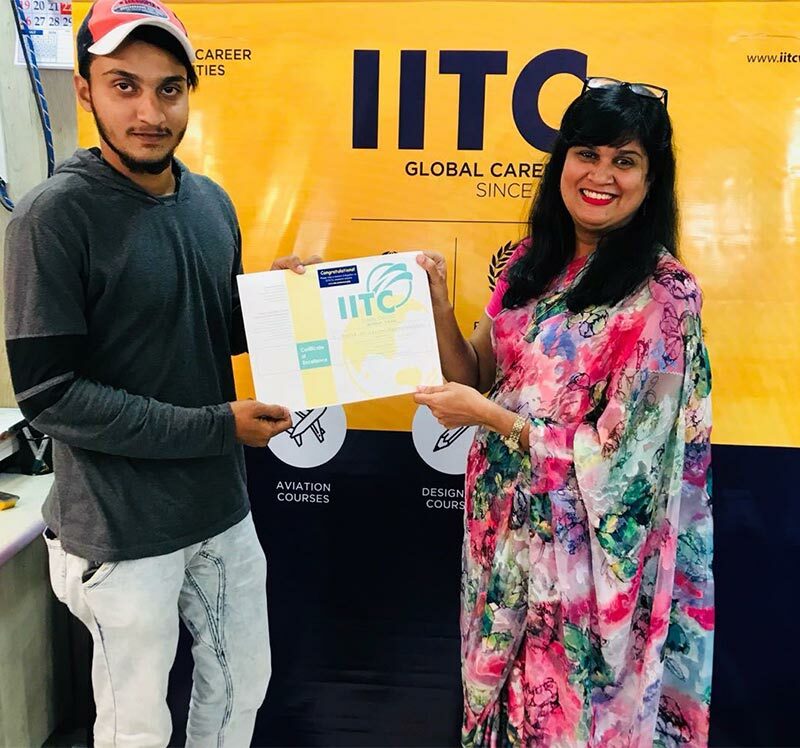 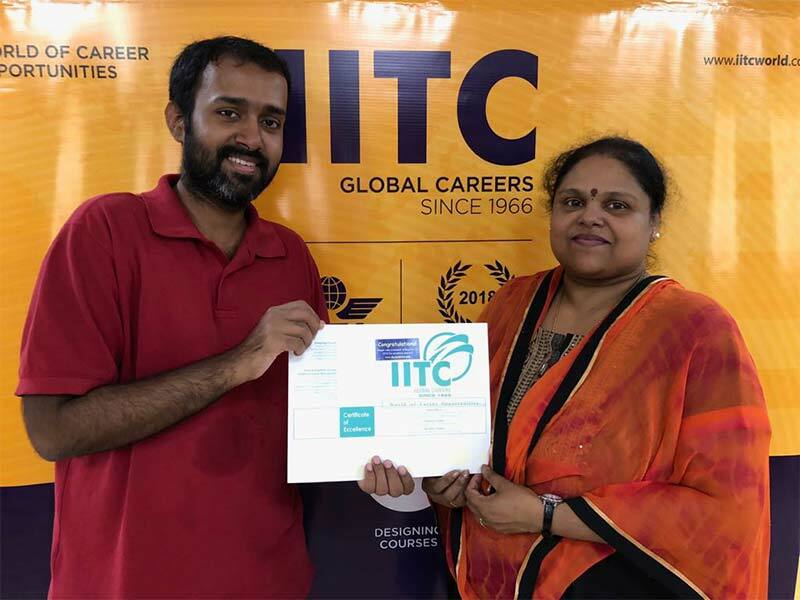 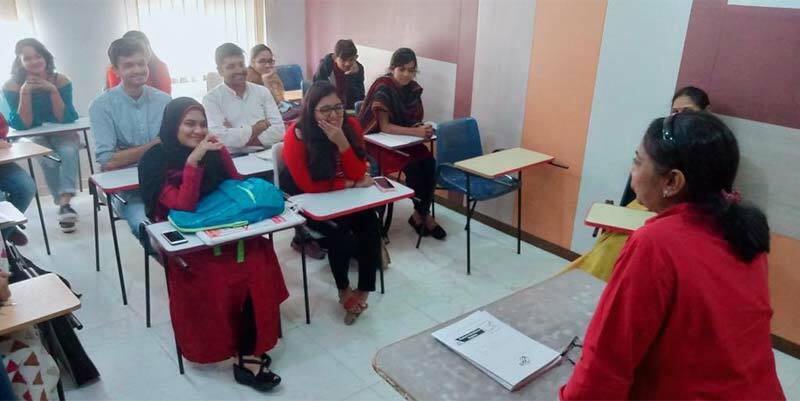 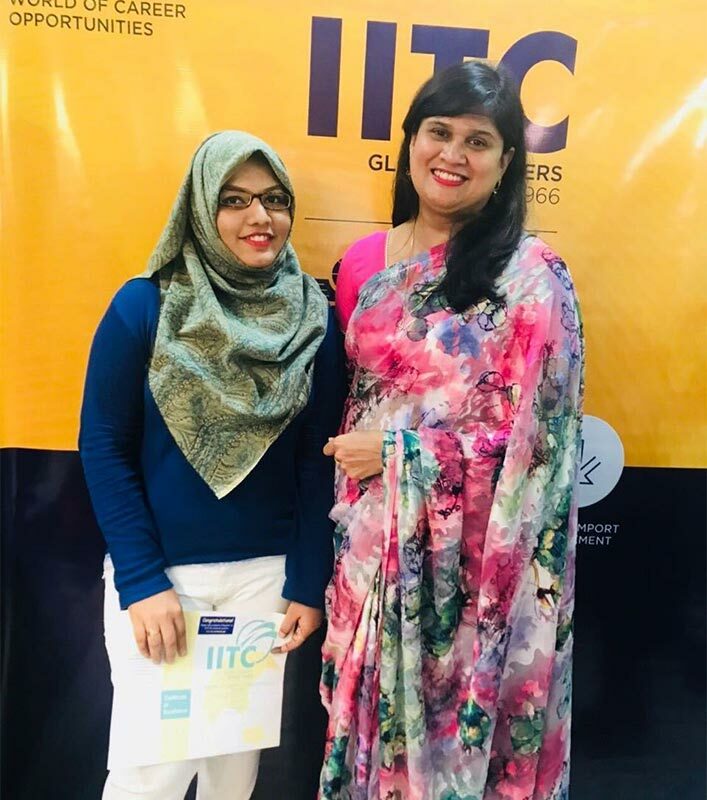 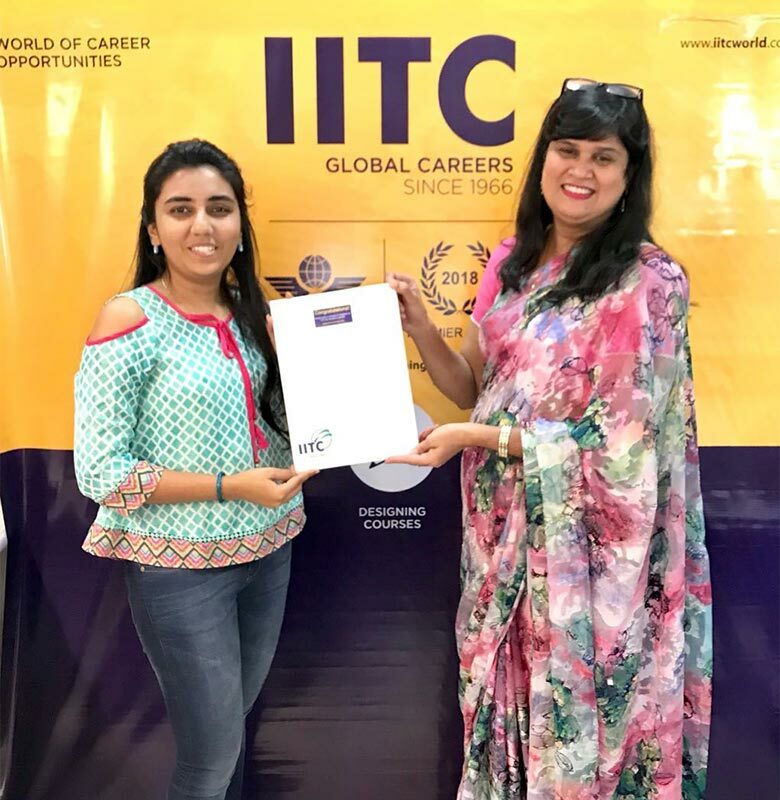 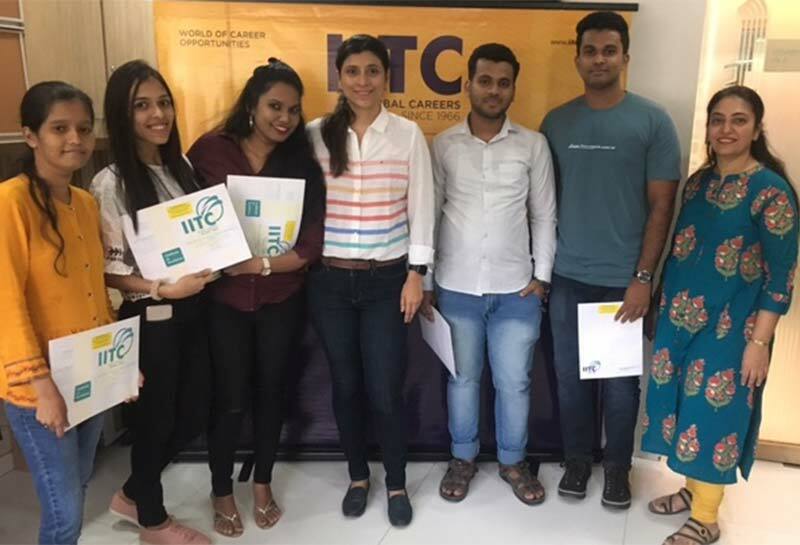 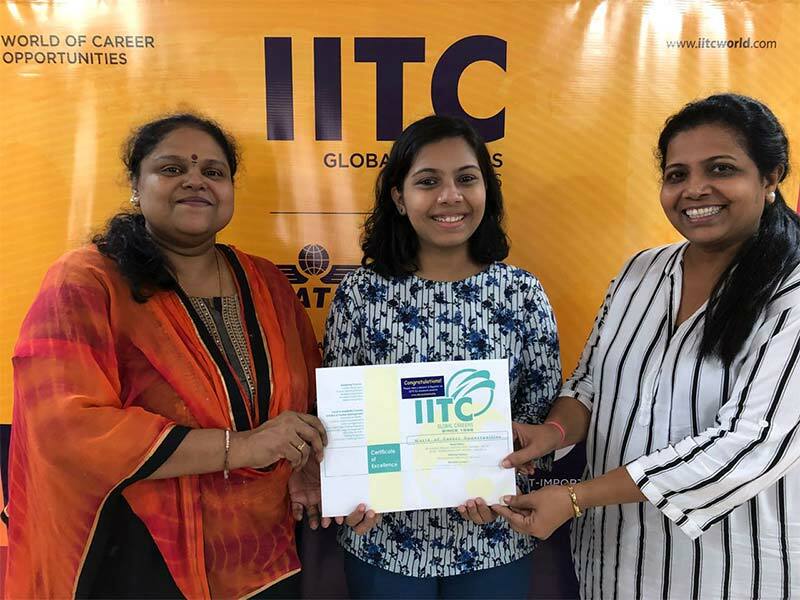 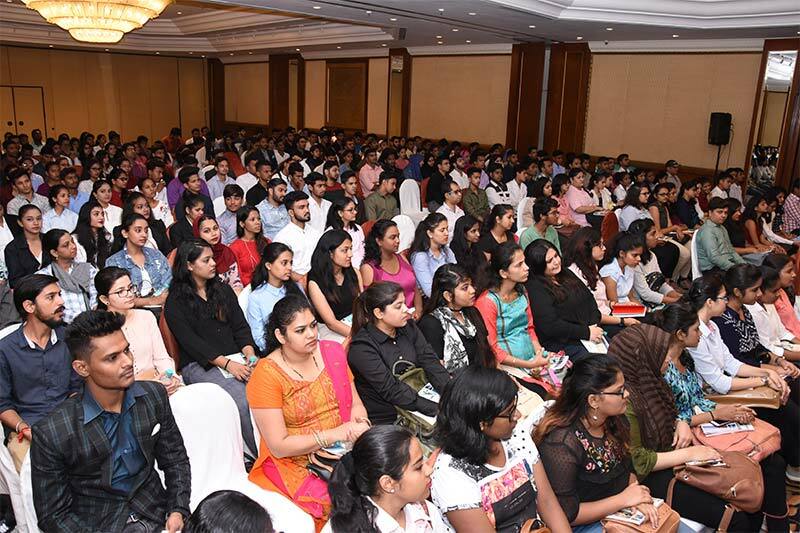 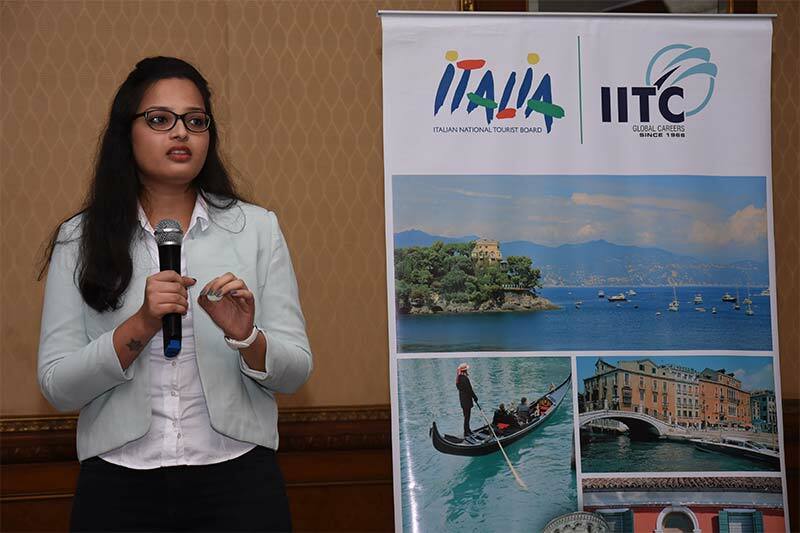 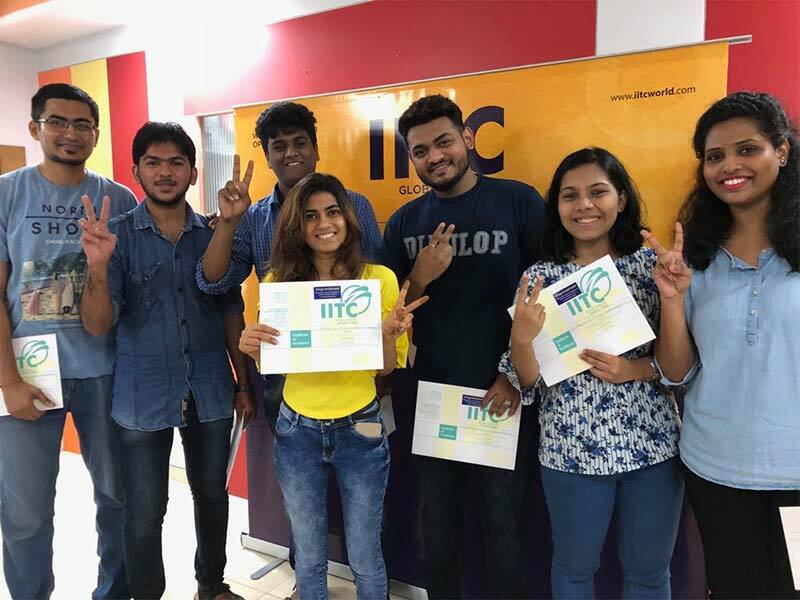 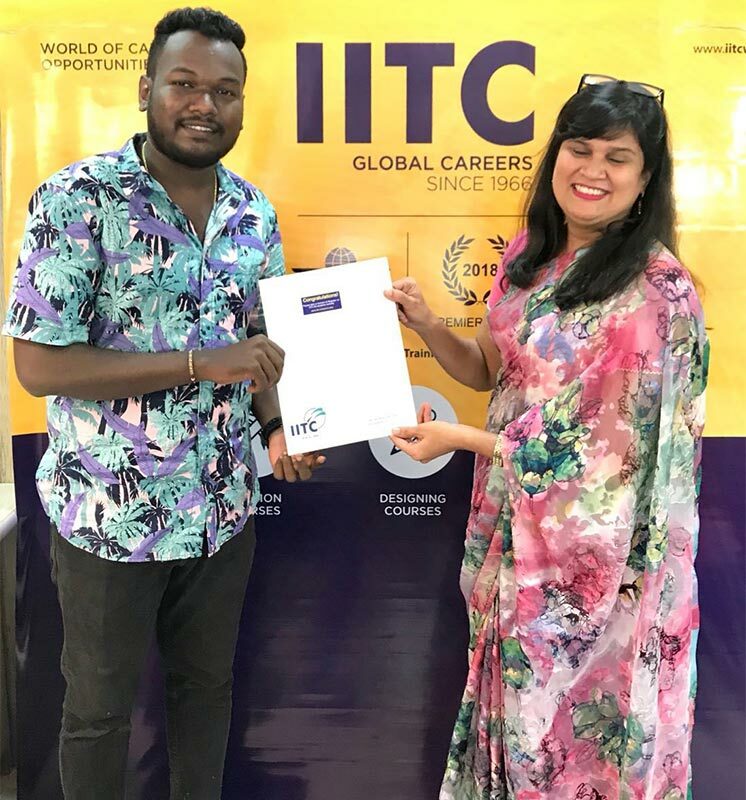 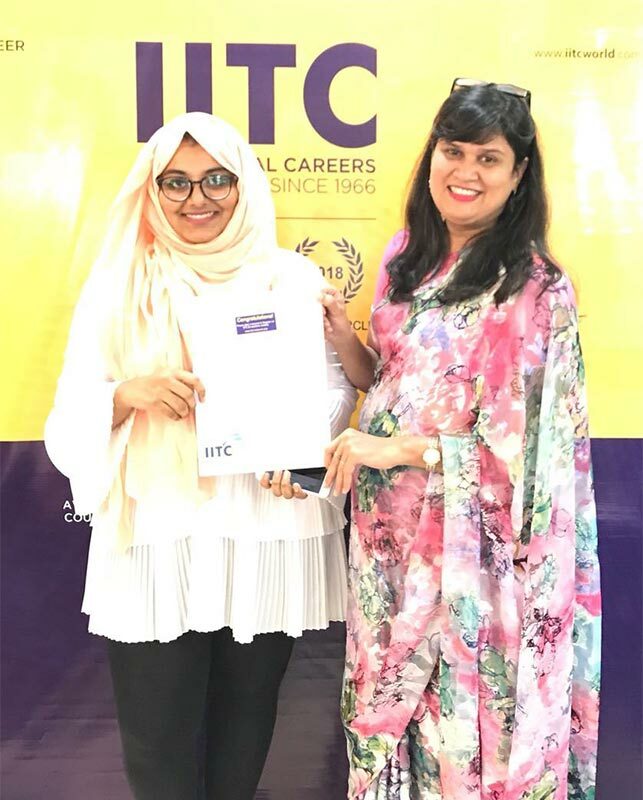 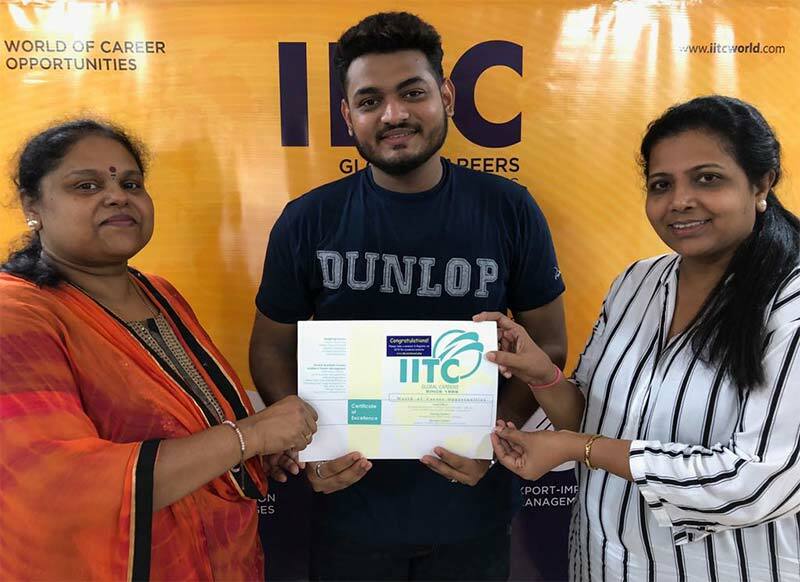 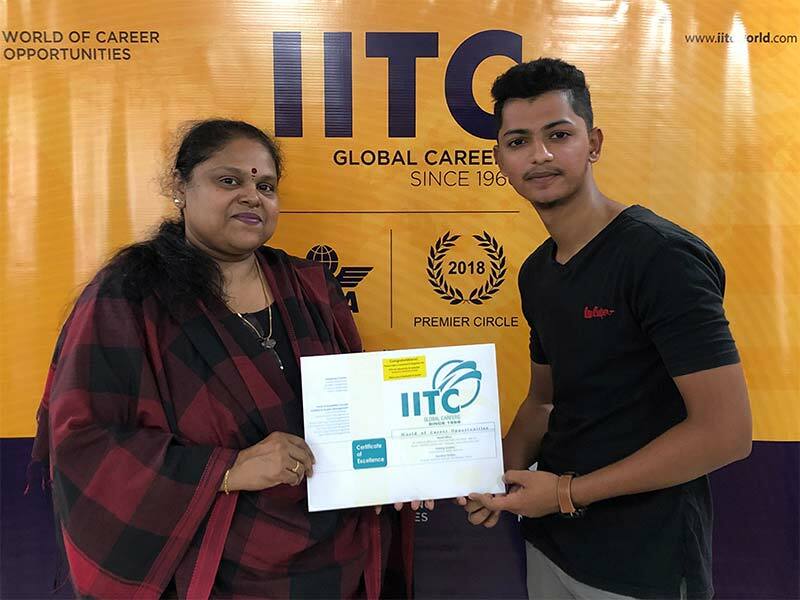 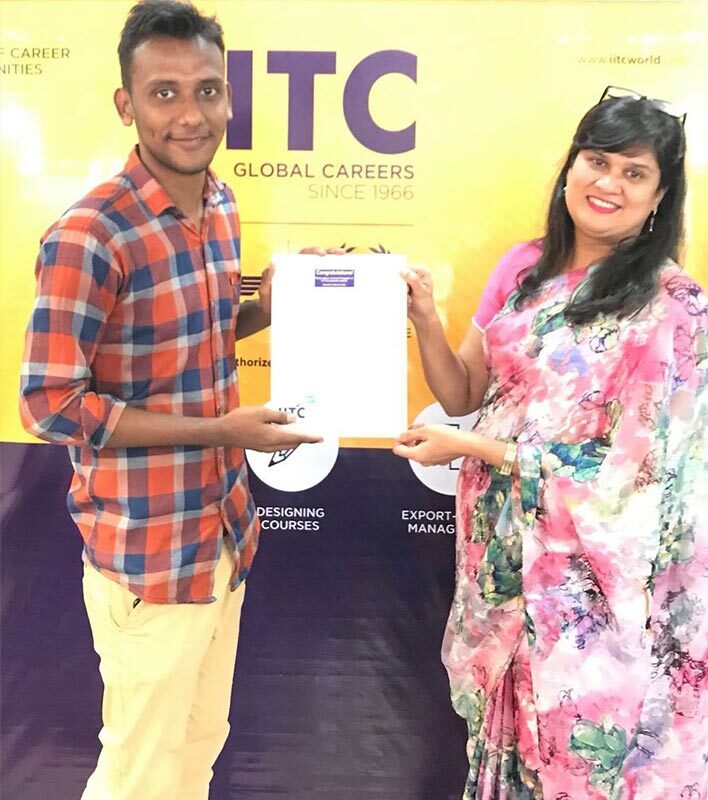 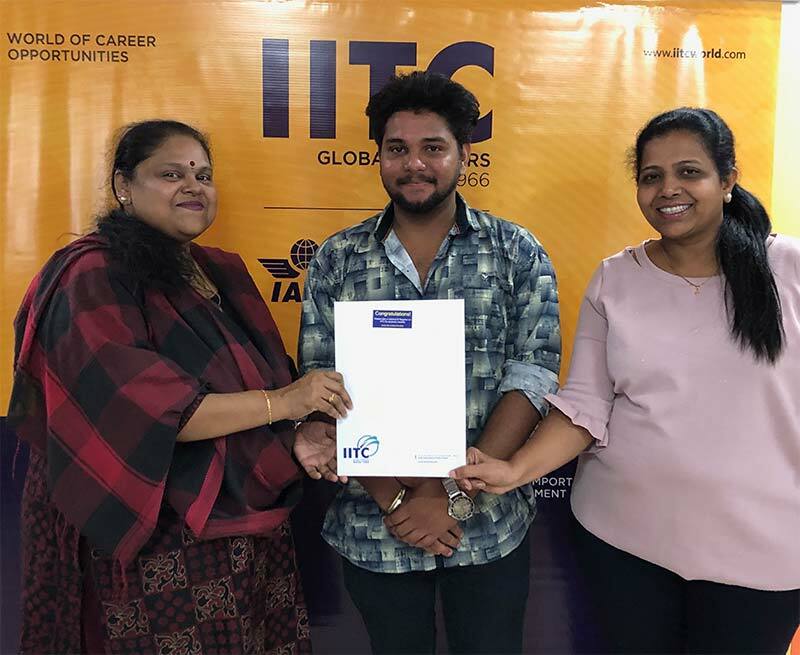 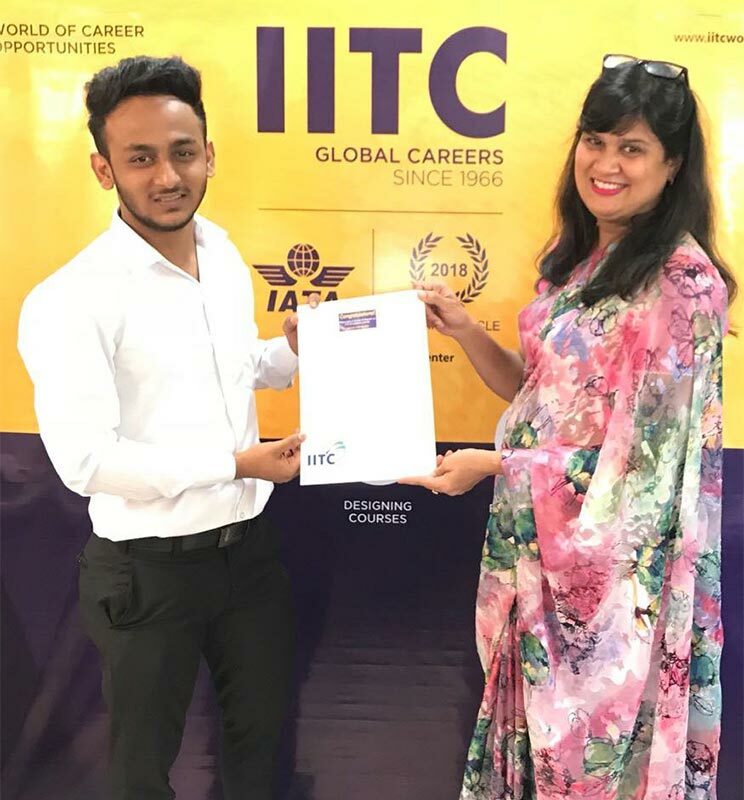 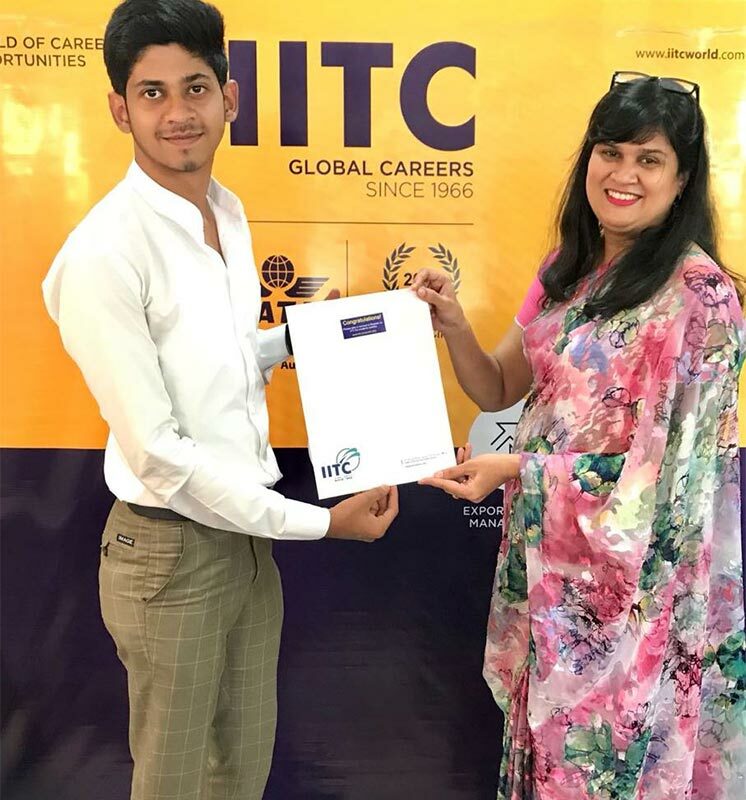 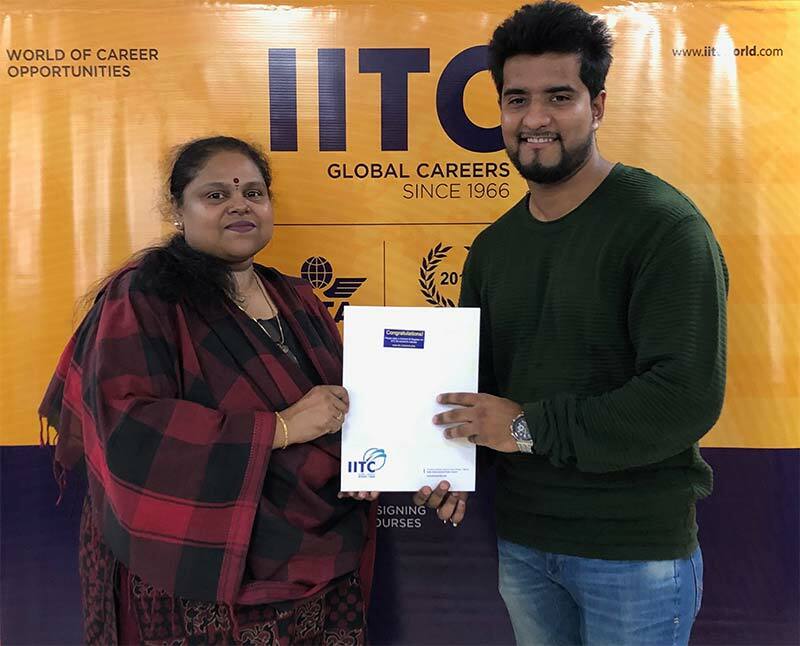 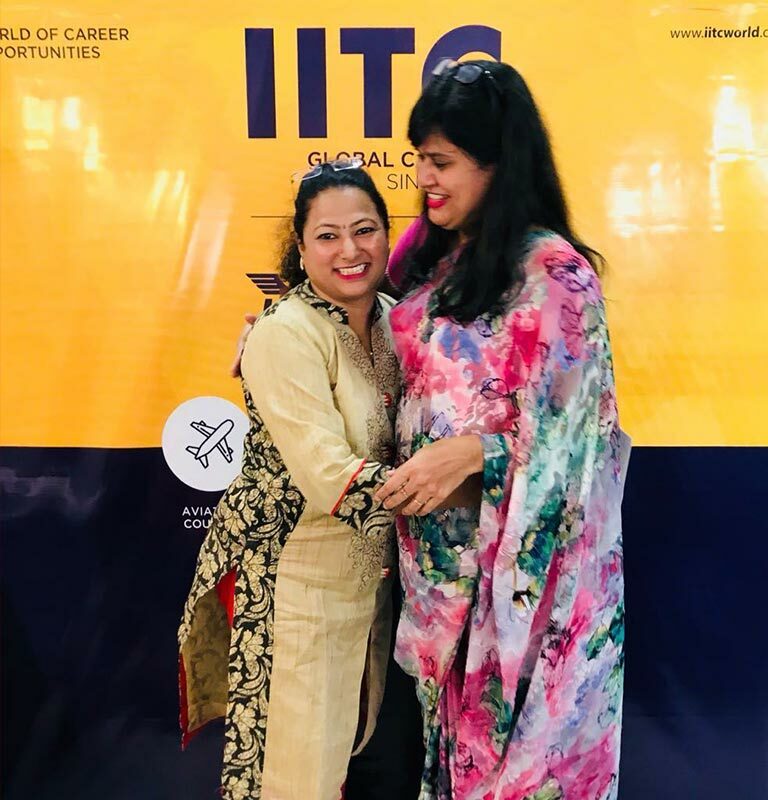 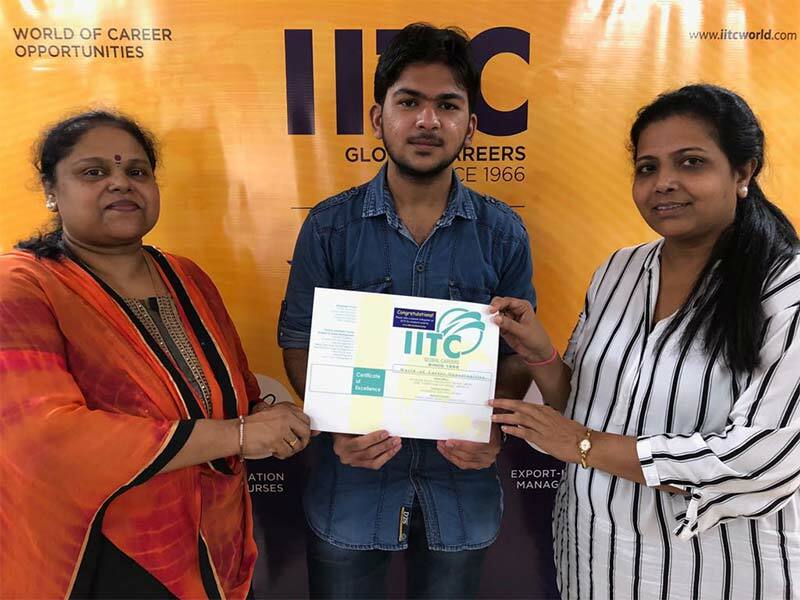 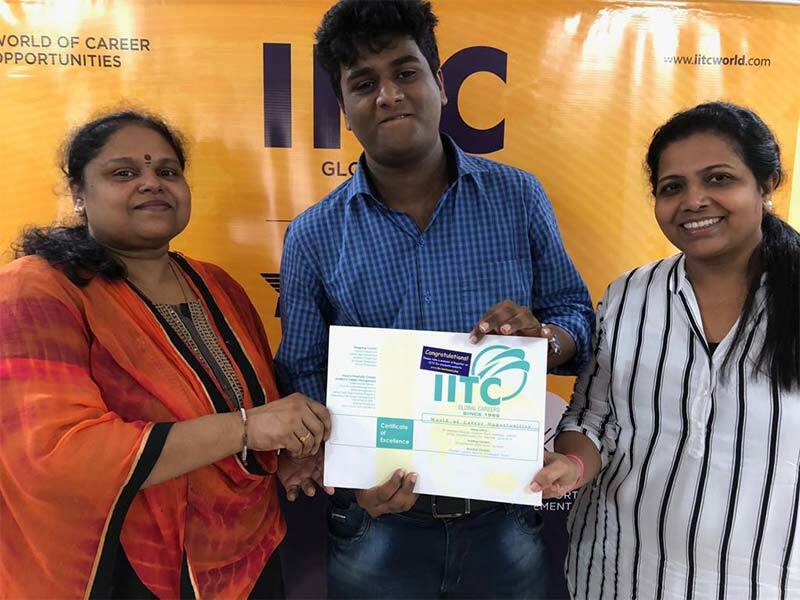 IITC, Mumbai had organized a Two-day program on “Soft Skills Training” for their Travel & Tourism students as a part of their course curriculum. 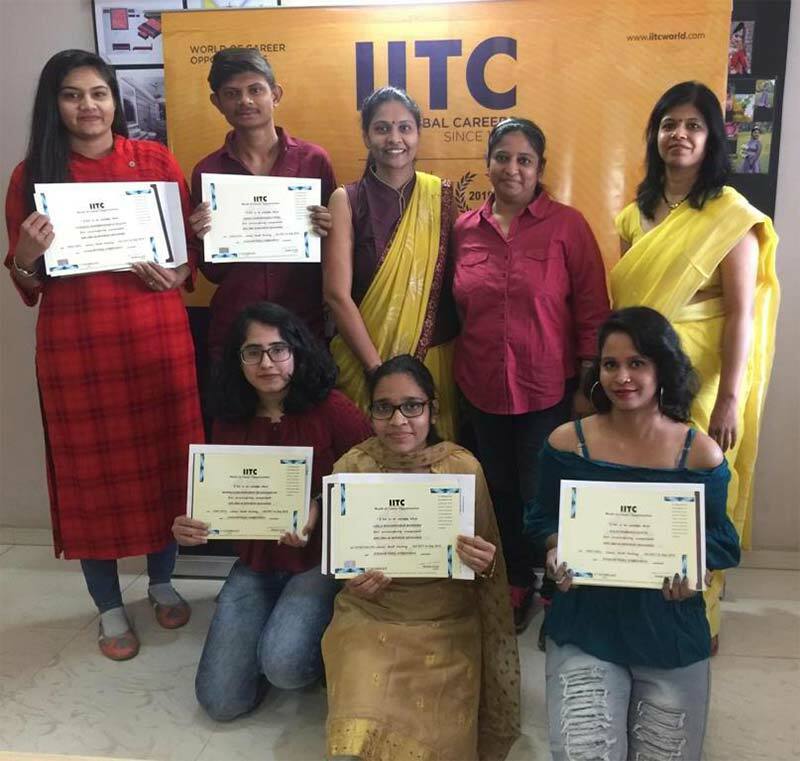 Some of the Topics covered in the program by Trainer Mr. Sandesh Urval were Power Communication, Professionalism in the Work Place, Grooming & Email Etiquettes. 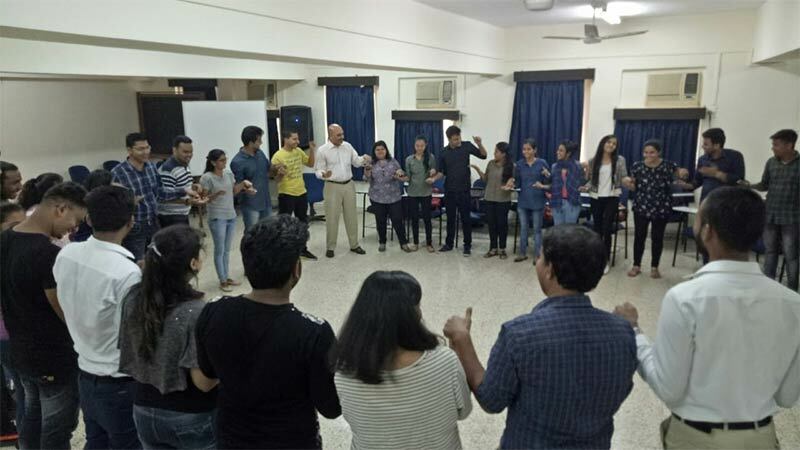 This interactive workshop helped the participants learn & recognize the qualities of communication, and practice how exactly they need to be implemented in various business contexts and situations, and how certain desirable behaviours can be turned into lifelong good habits. 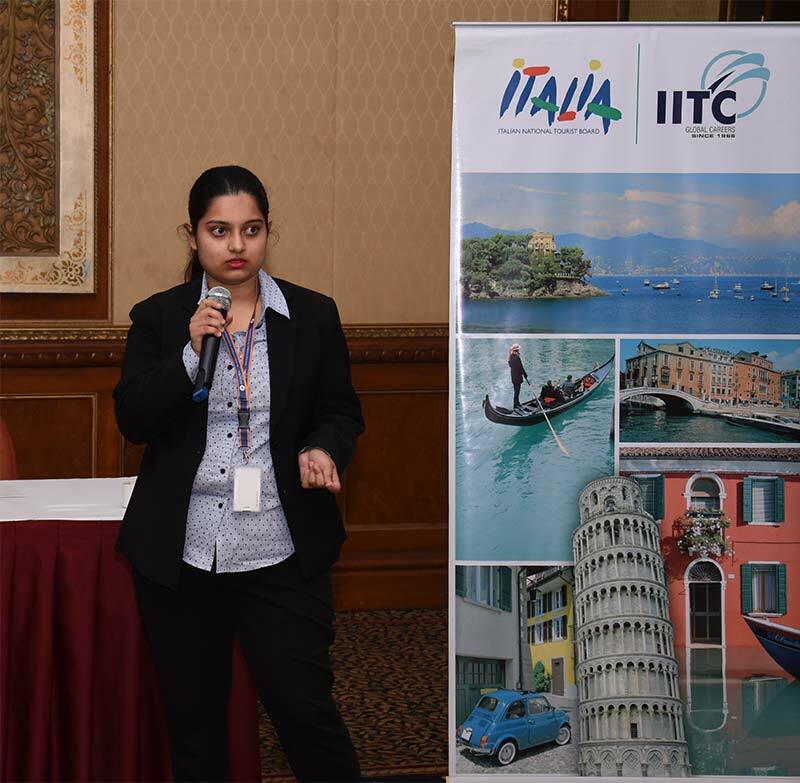 Participants found the workshop to be extremely interesting, very knowledgeable & useful. 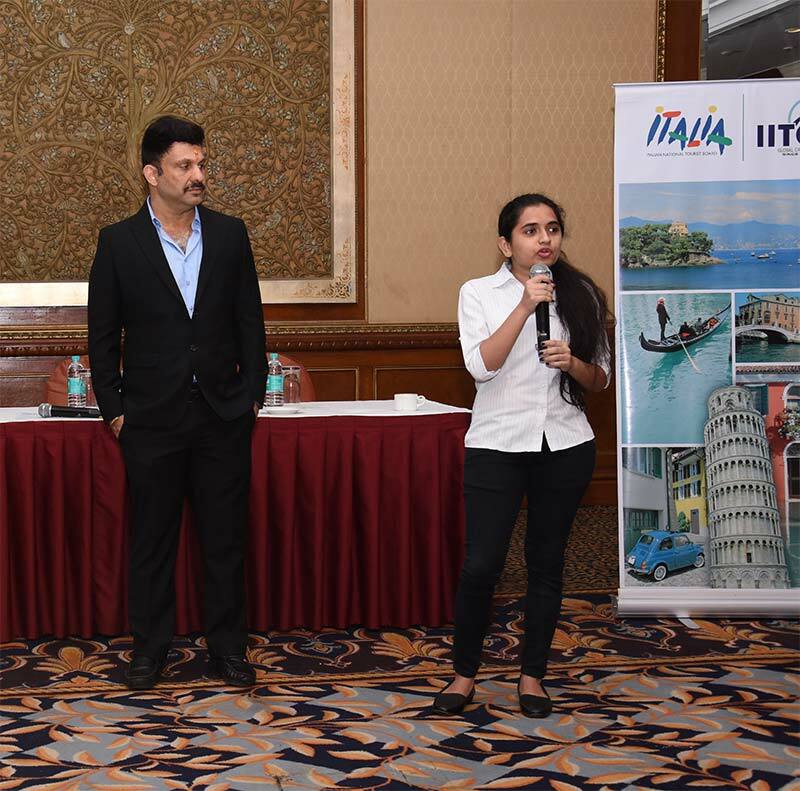 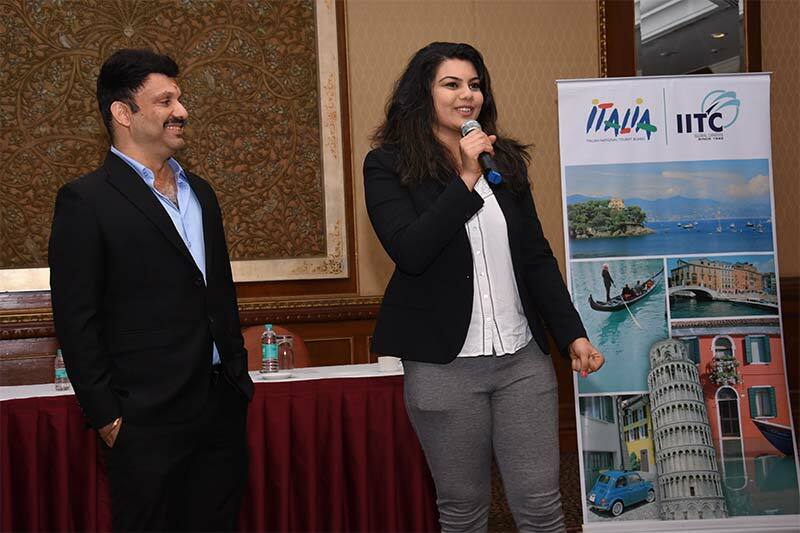 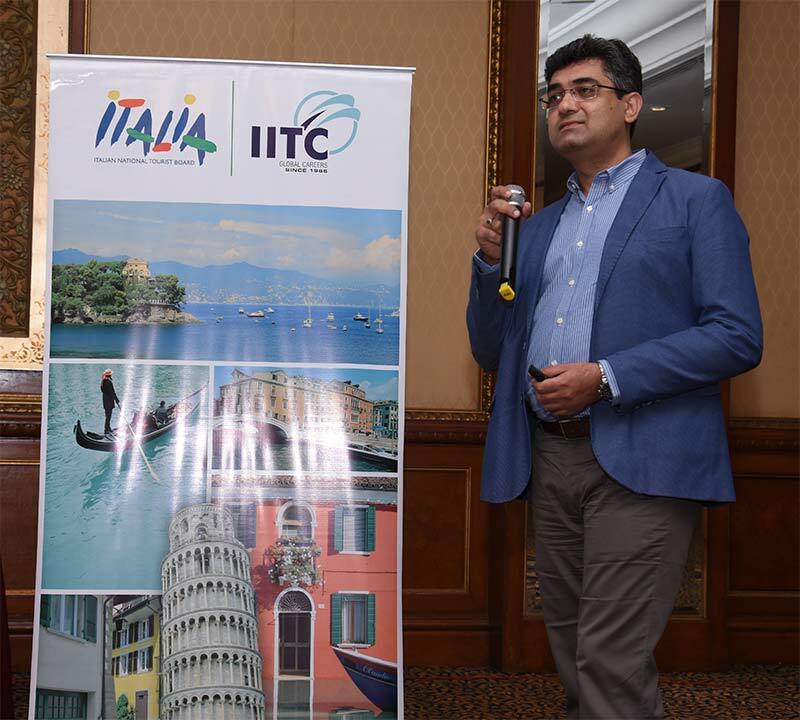 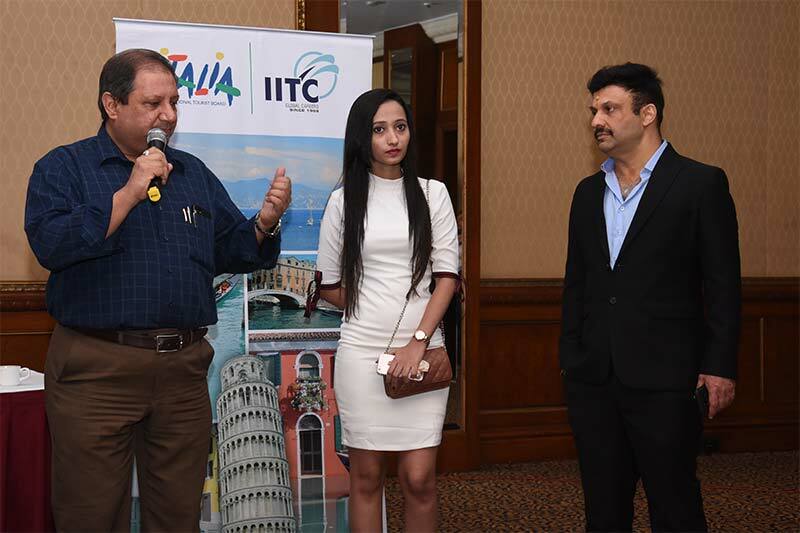 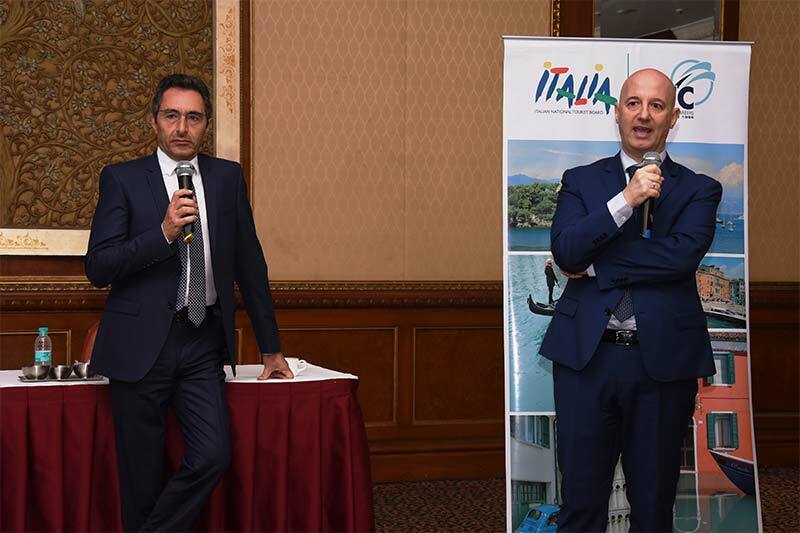 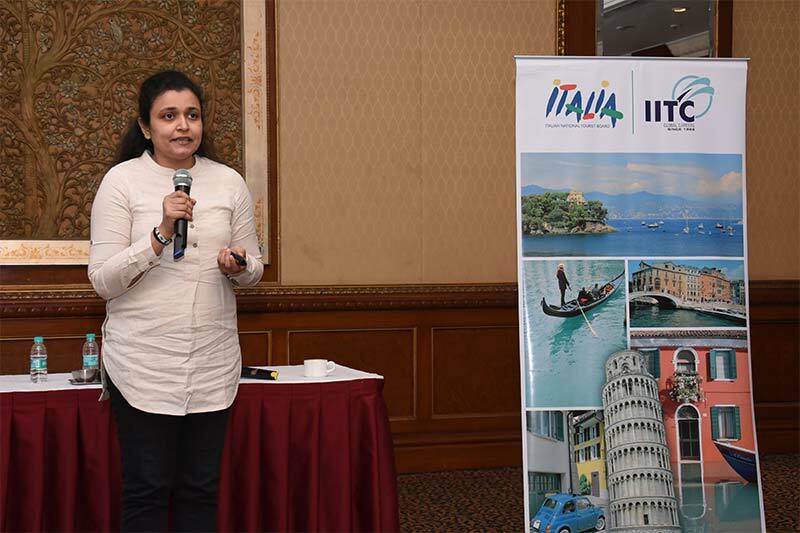 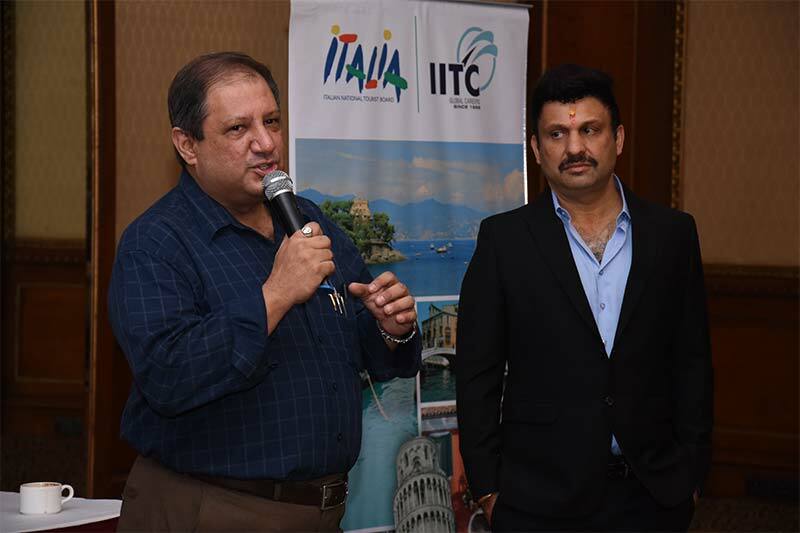 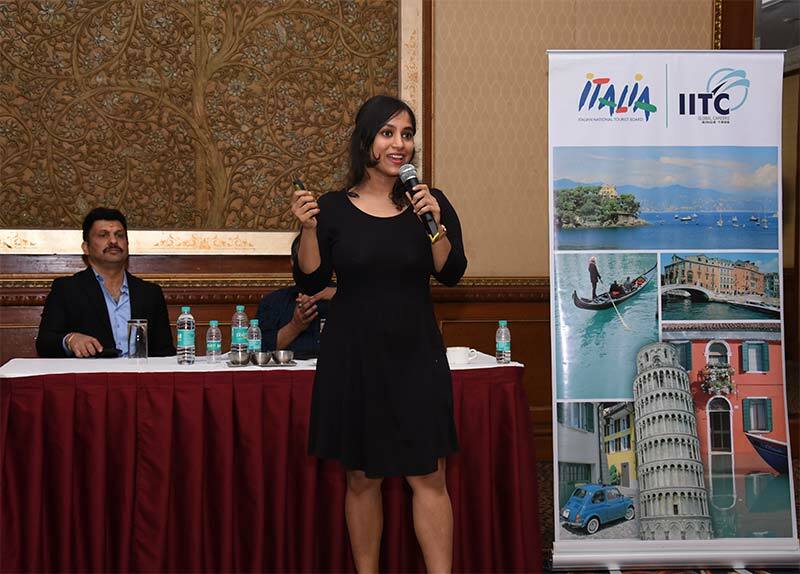 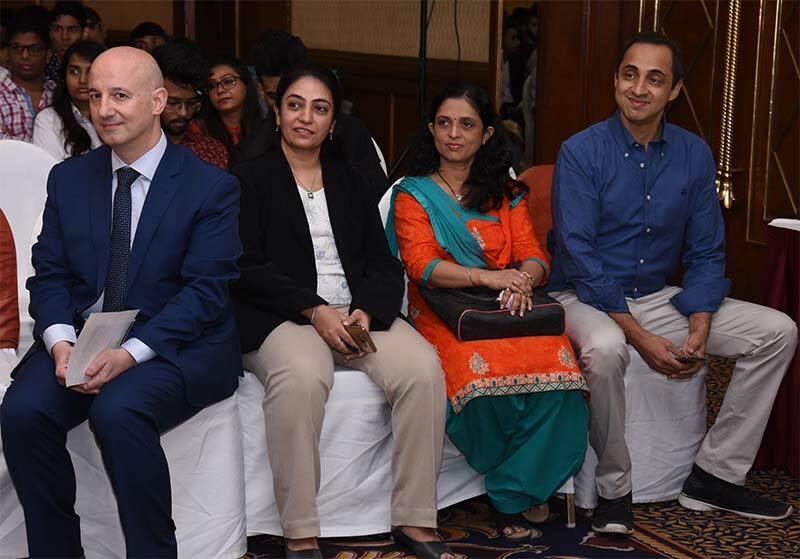 A special Thanks to all, who enlightened the students on various aspects related to Italian Tourism. 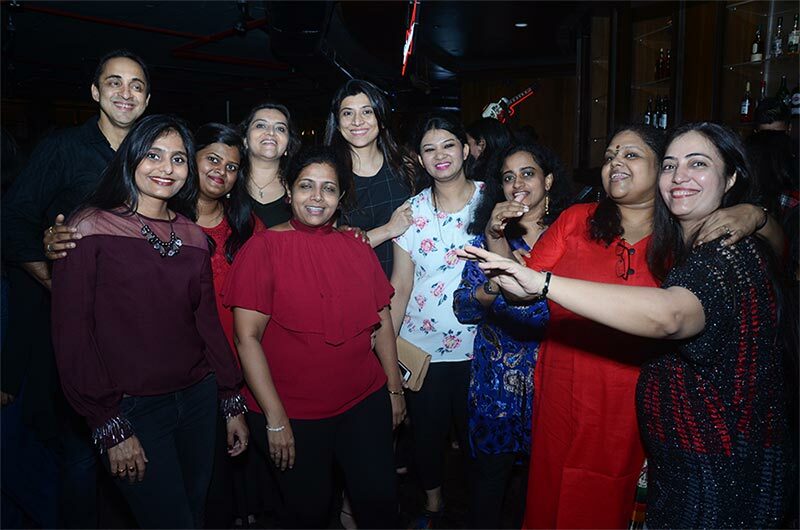 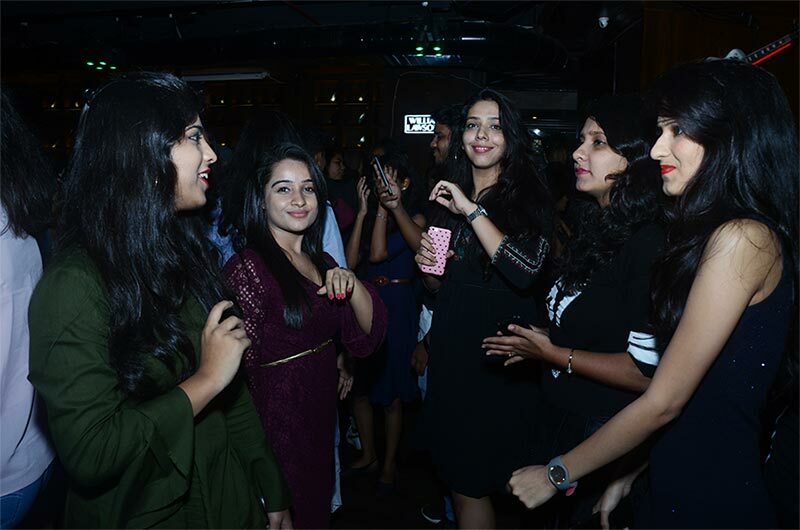 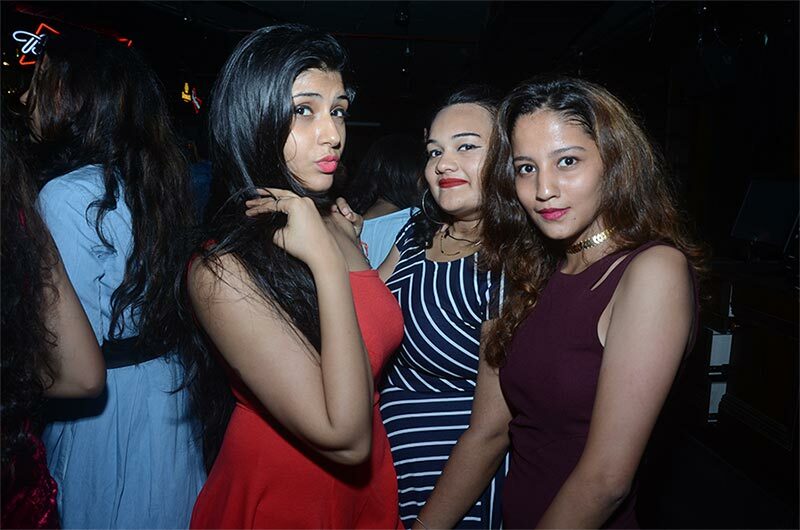 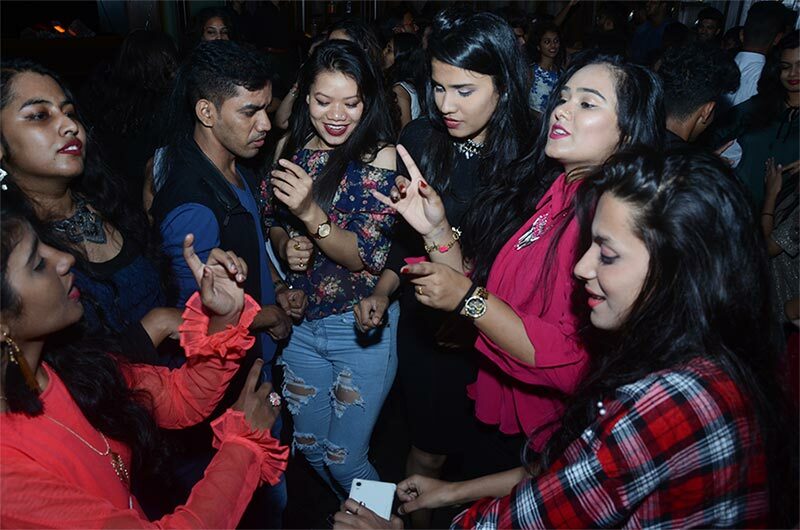 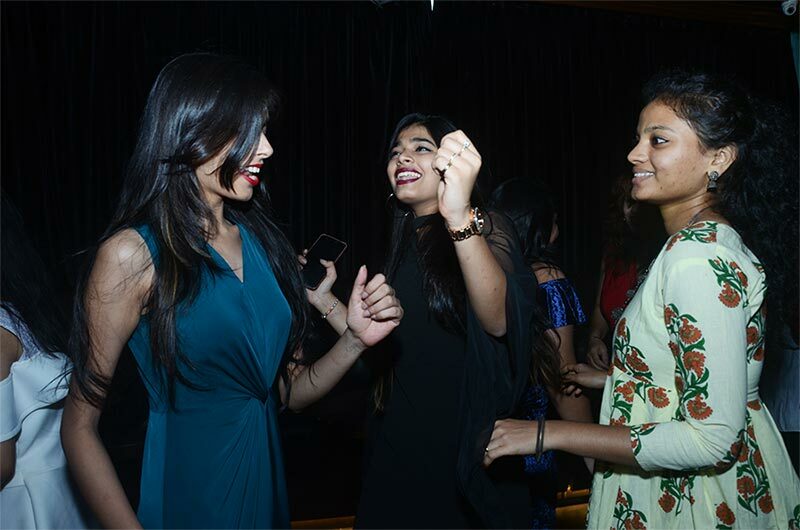 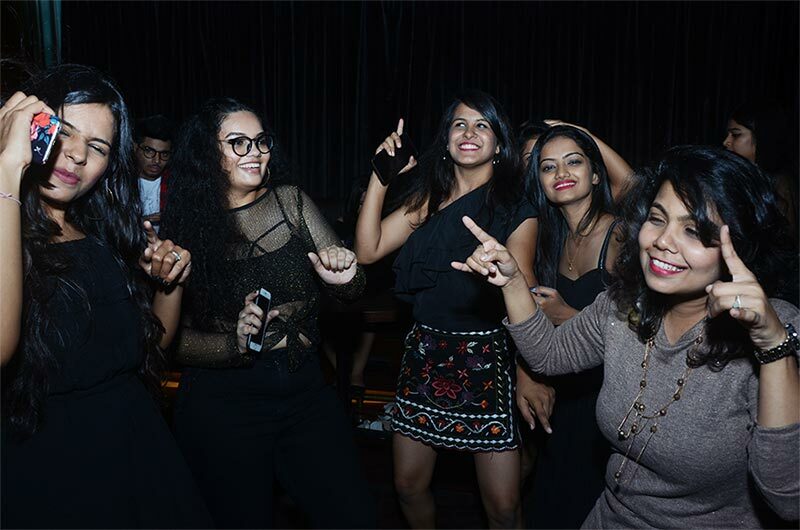 IITC had organized a Dance Party & Get Together for the students of Designing and Aviation. 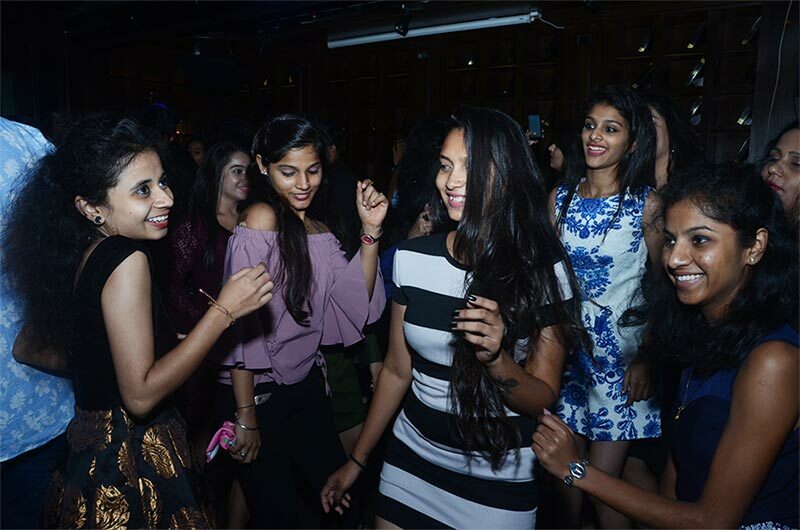 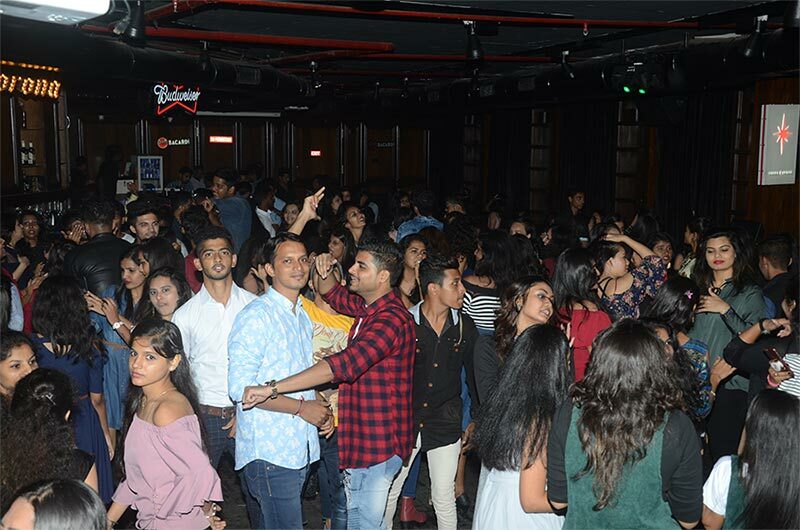 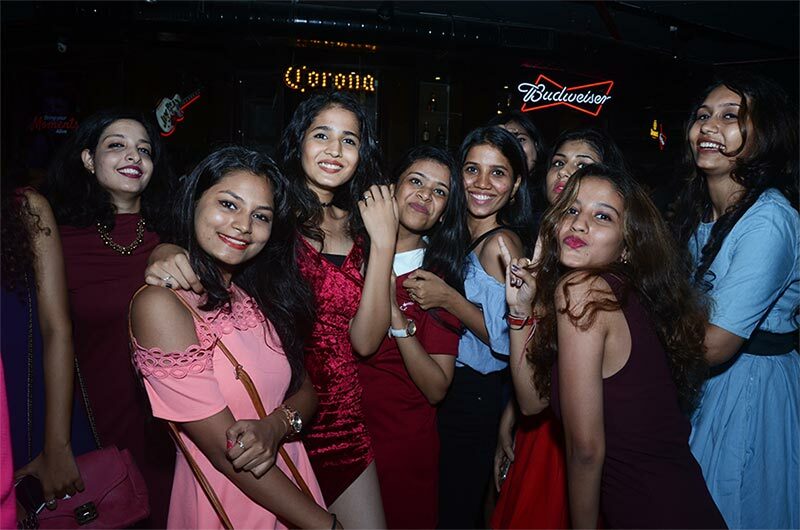 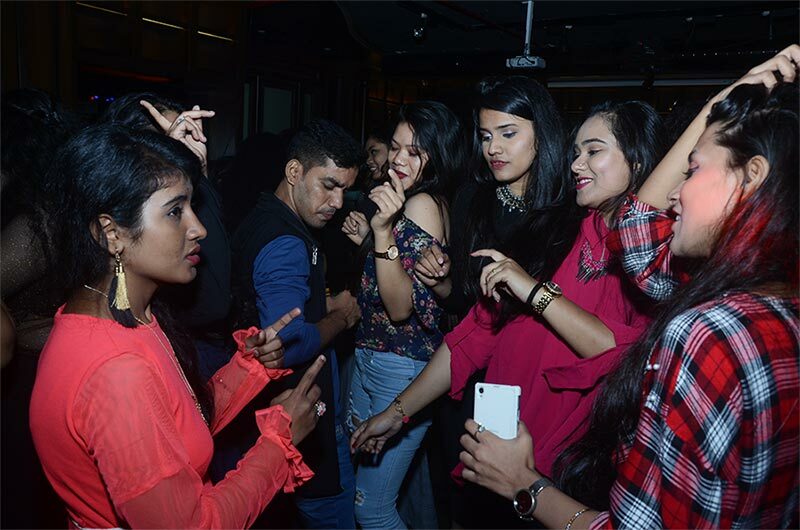 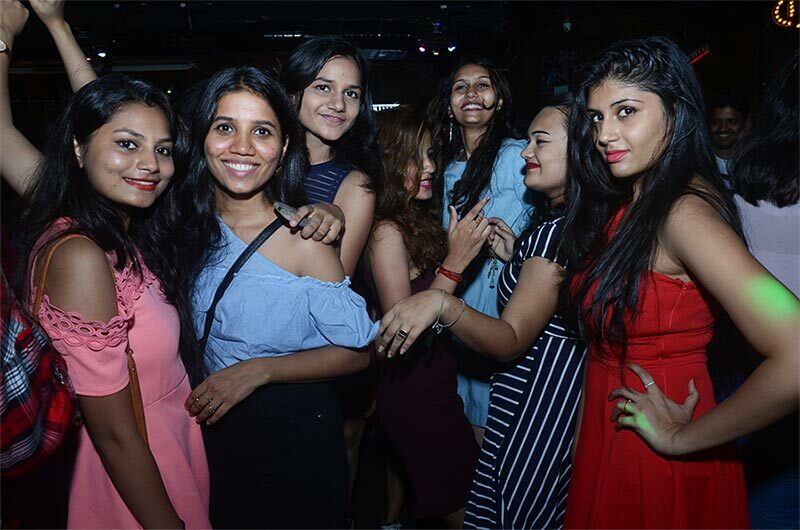 IITC had organized a Dance Party & Get Together for the students of Designing and Aviation on 29th Sep-2018 at Burn, BKC, Mumbai. 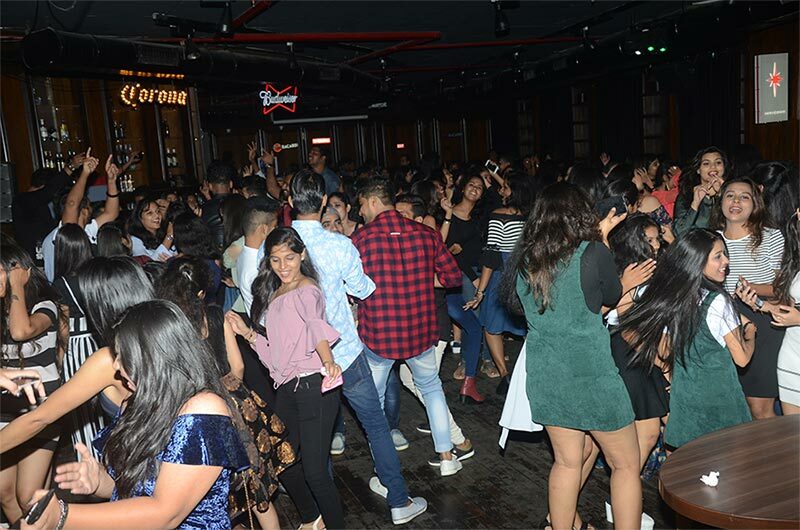 Students had a great time, enjoying every moment. 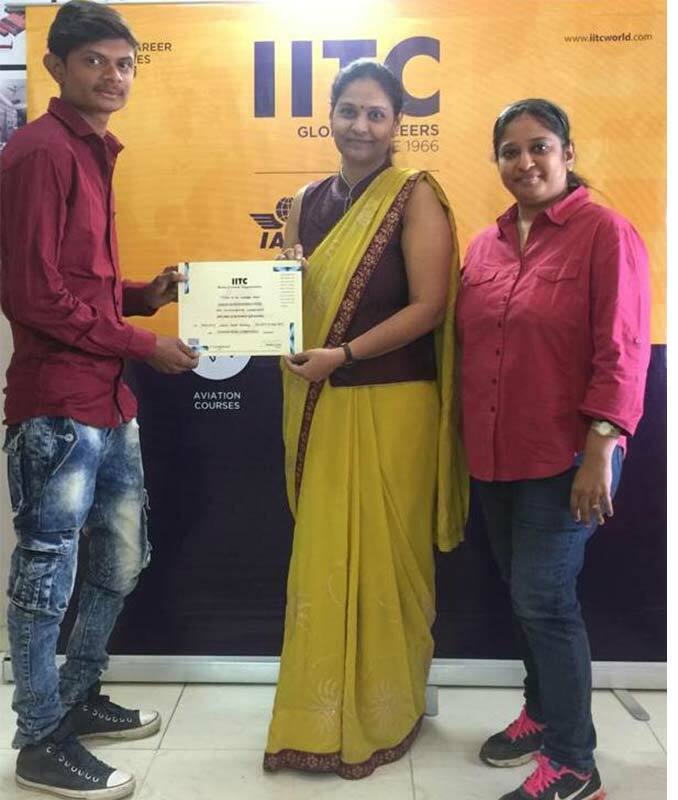 The feedback received from all students was very positive and all found the experience very enriching and eye opening. 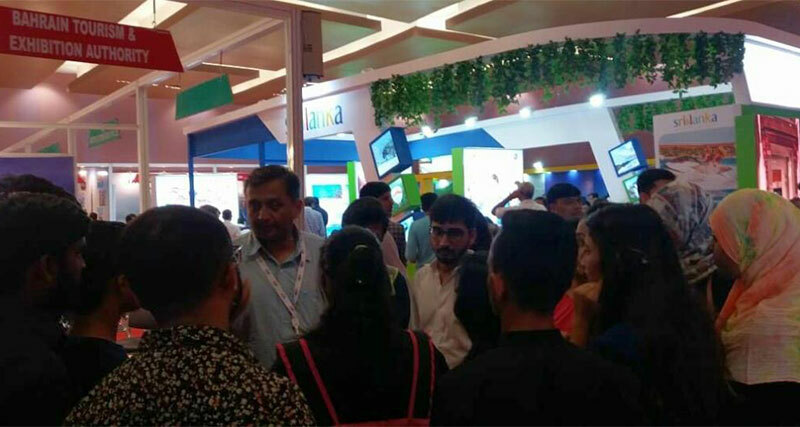 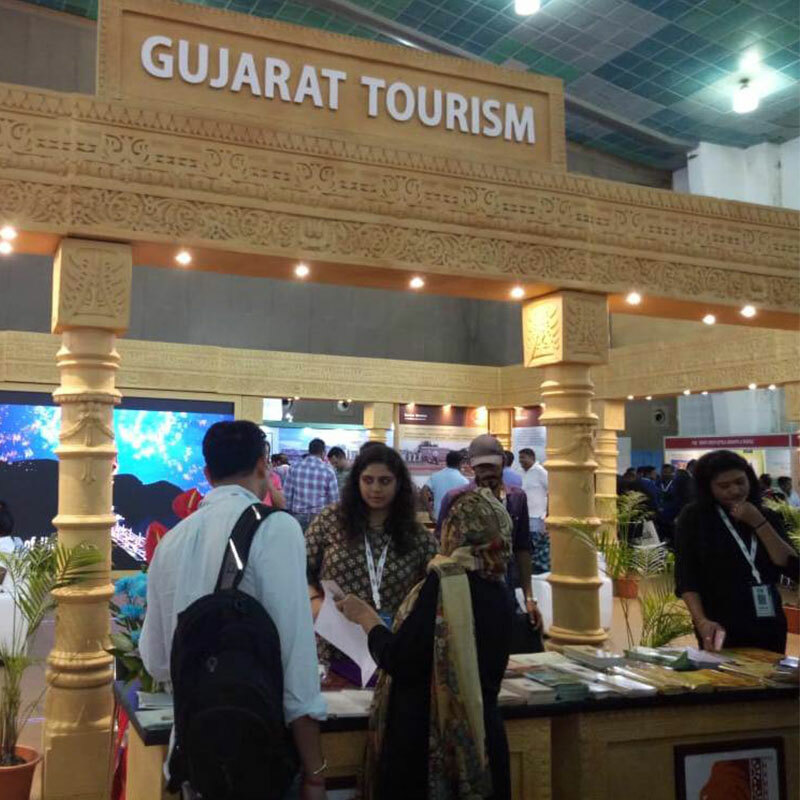 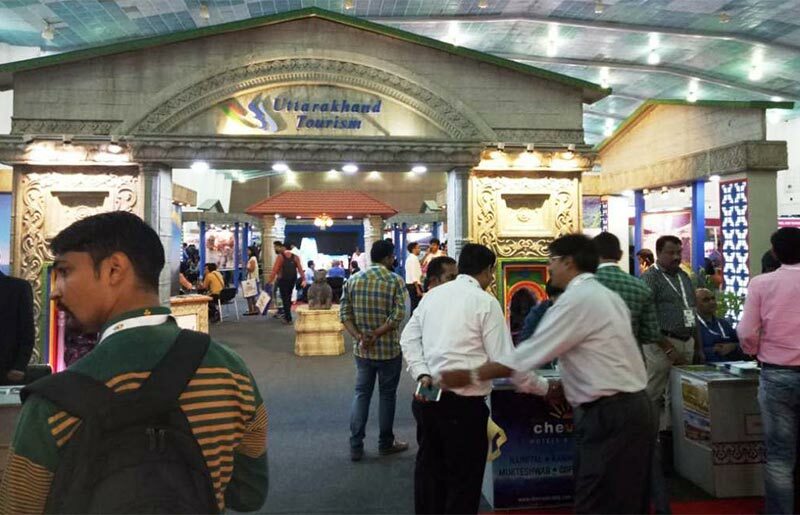 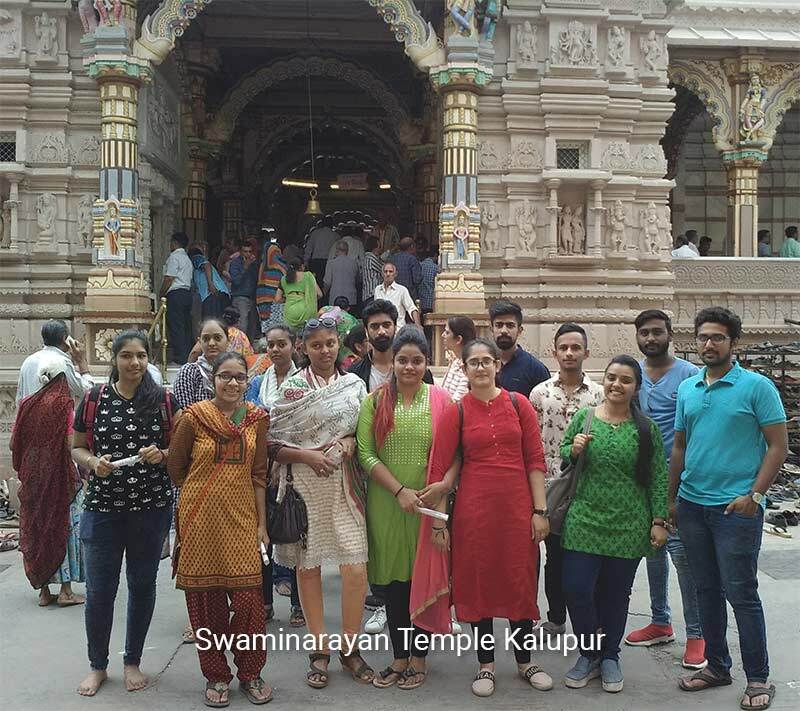 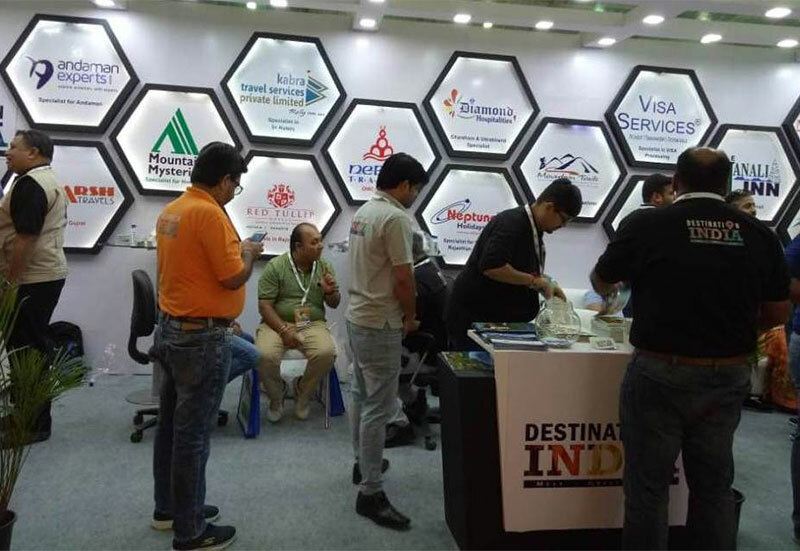 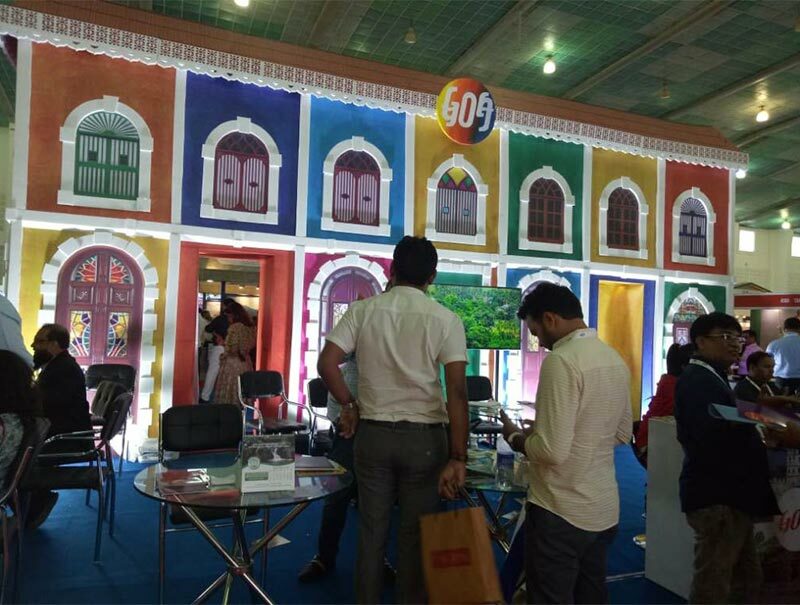 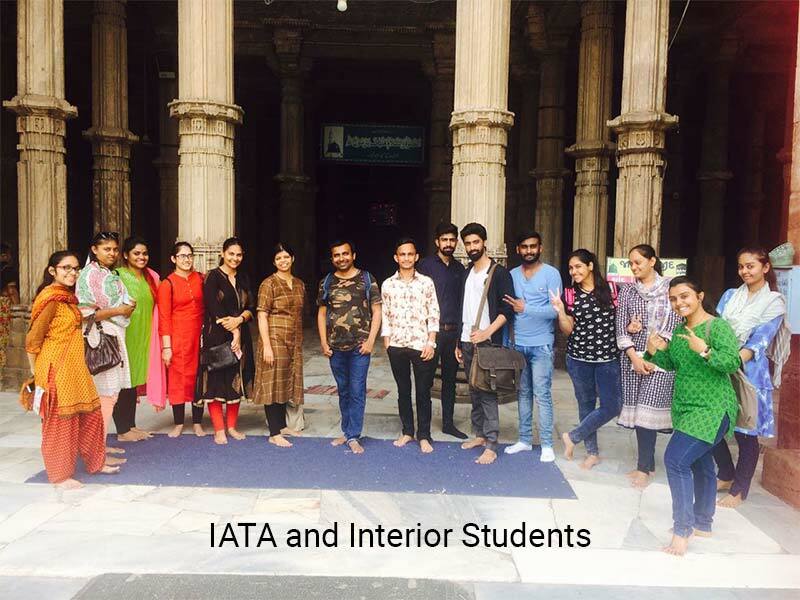 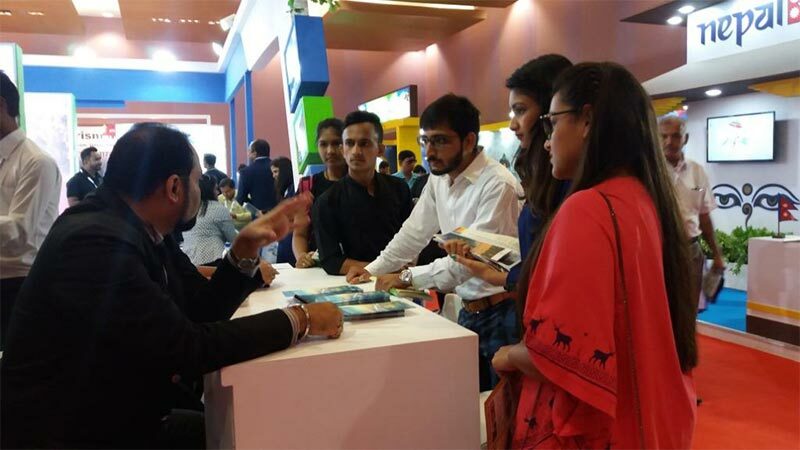 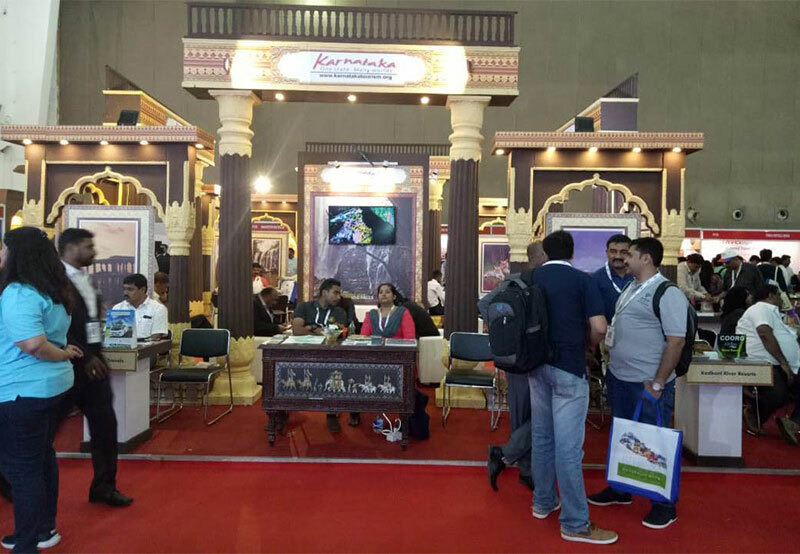 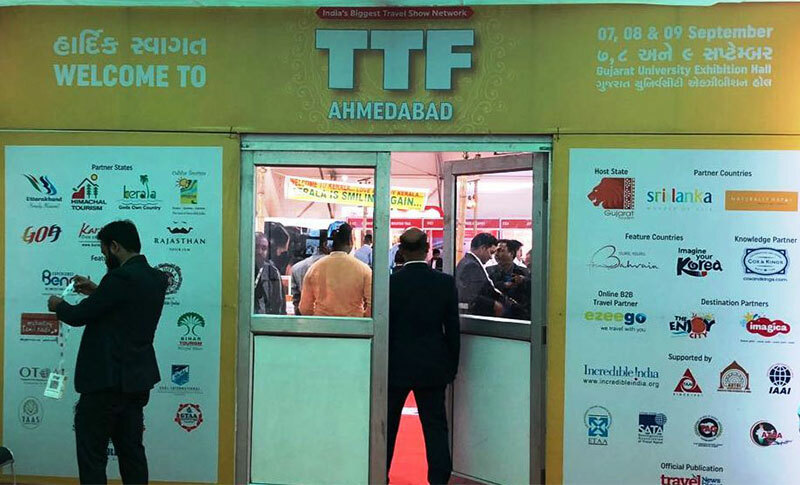 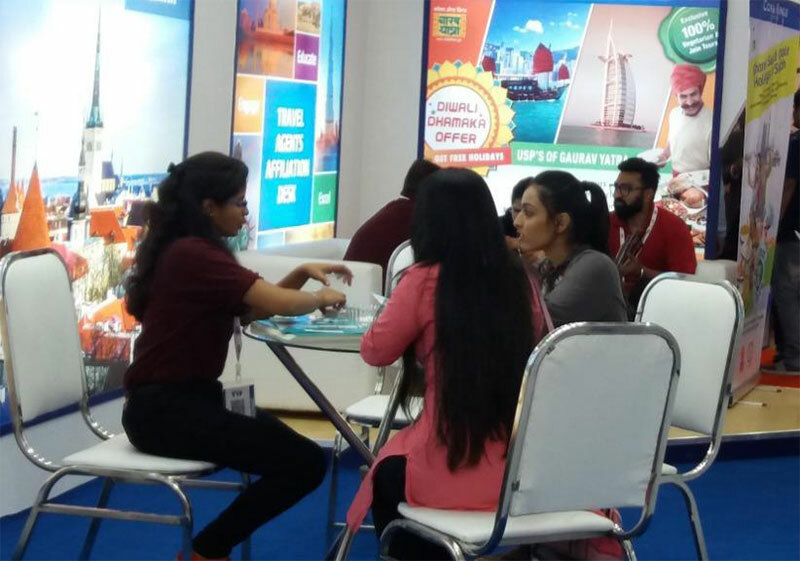 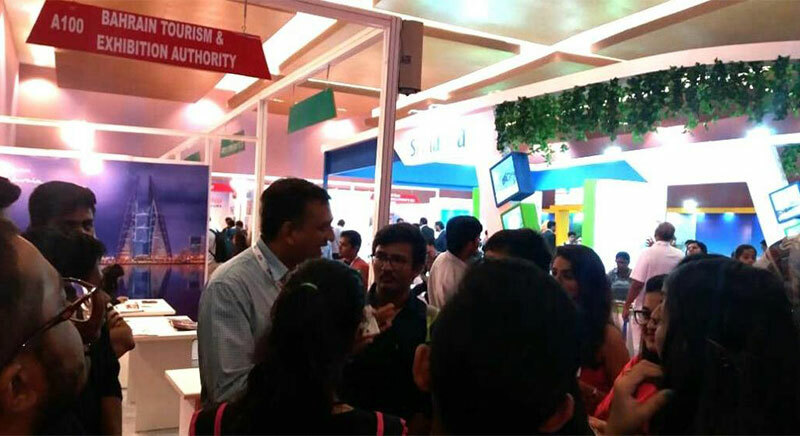 IATA Students of IITC Ahmedabad were taken on field trip to Travel and Tourism Trade Fair (TTF), held on 8th September in Ahmedabad. 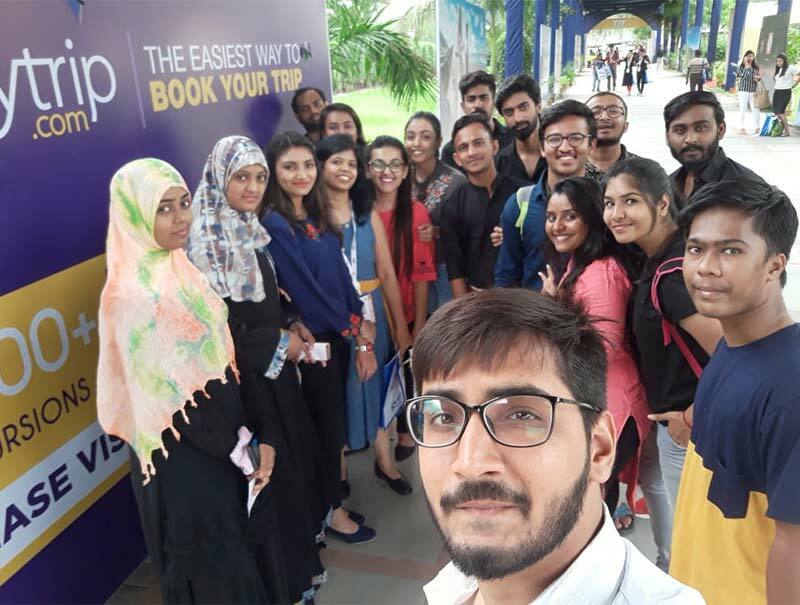 The objective of the trip was to give them an insight into the Industry, Destination knowledge gathering and deciding their future career options. 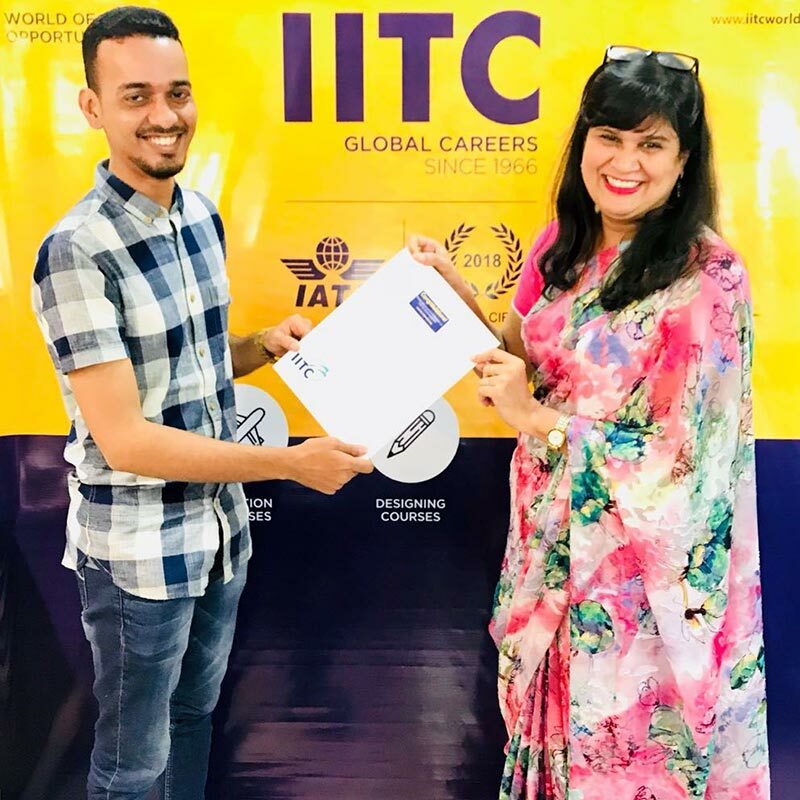 Convocation Ceremony IATA Foundation JUNE 2018 batch students from IITC Nariman Point being felicitated by their faculty, Ms. Badarunnisa Mohamed. 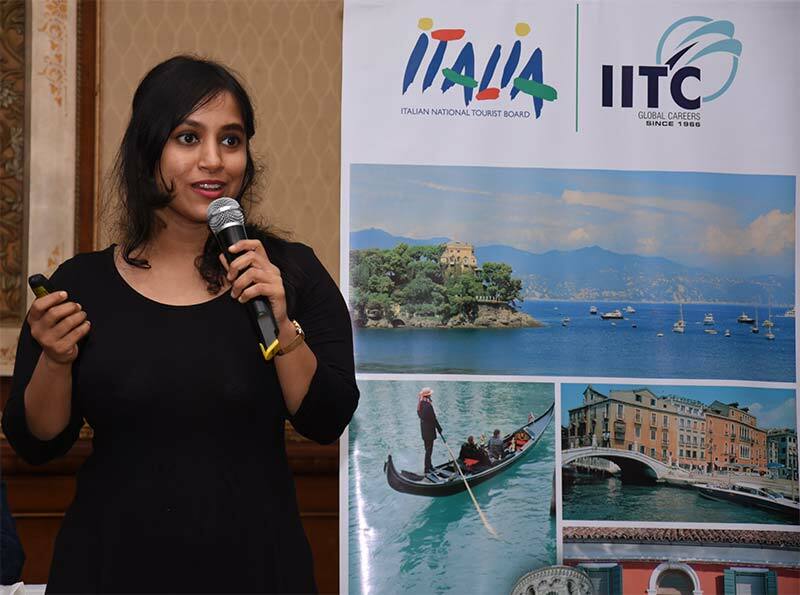 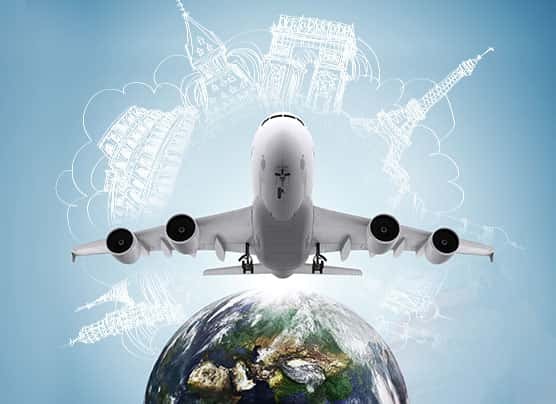 IITC Wishes you all a fantastic future & a successful career in the Travel Industry. 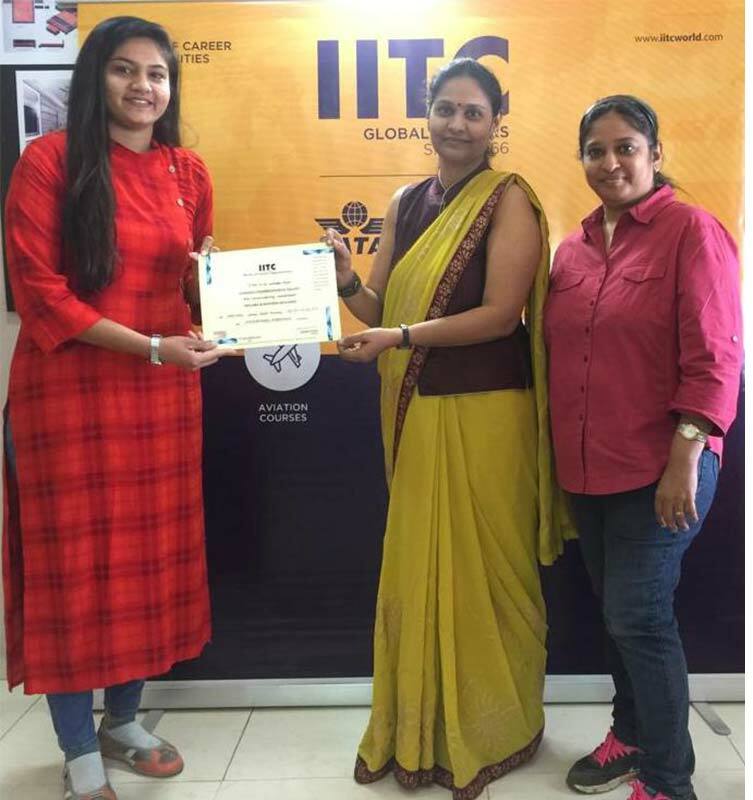 Convocation Ceremony IATA Foundation JUNE 2018 batch students from IITC Thane being felicitated by their faculty, Ms. Vijaya Menon & Ms.Bharti Patil. 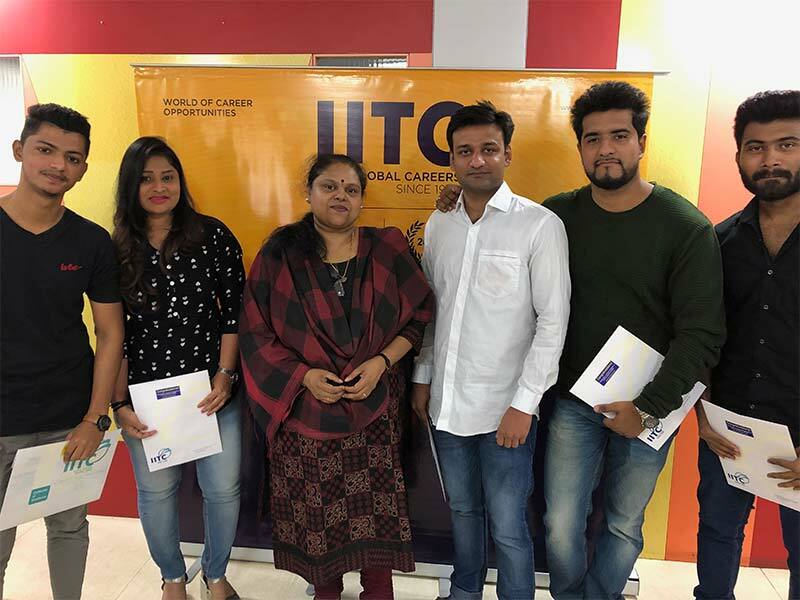 Heartiest Congratulations to all Students. 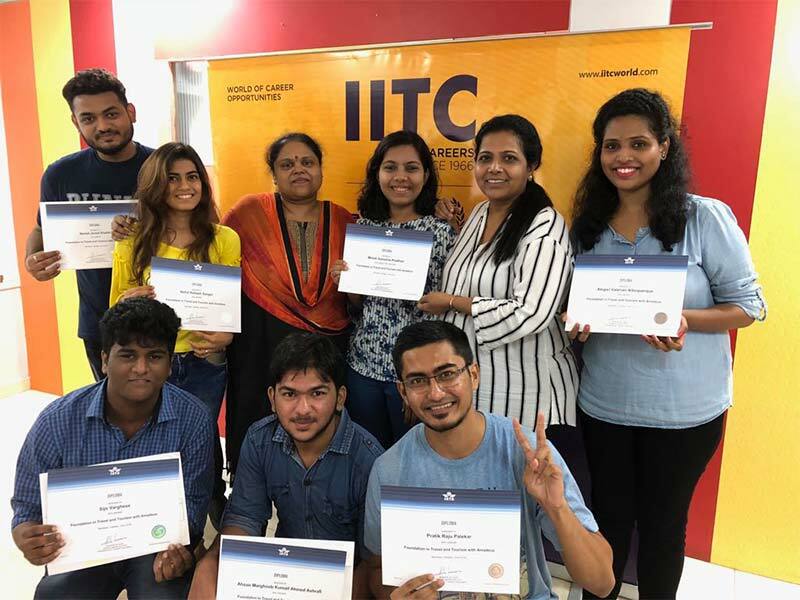 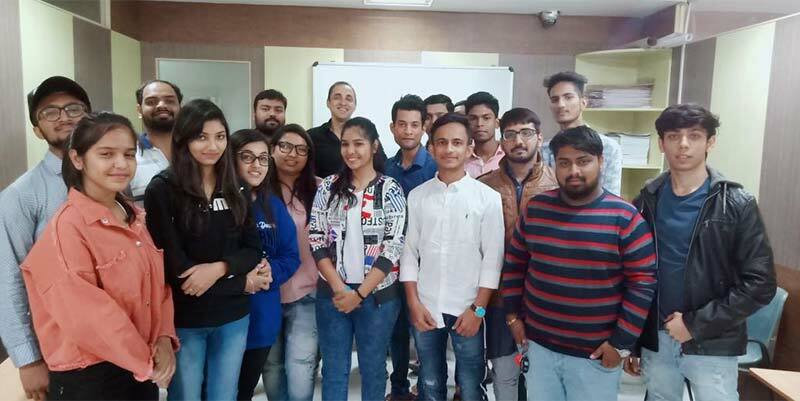 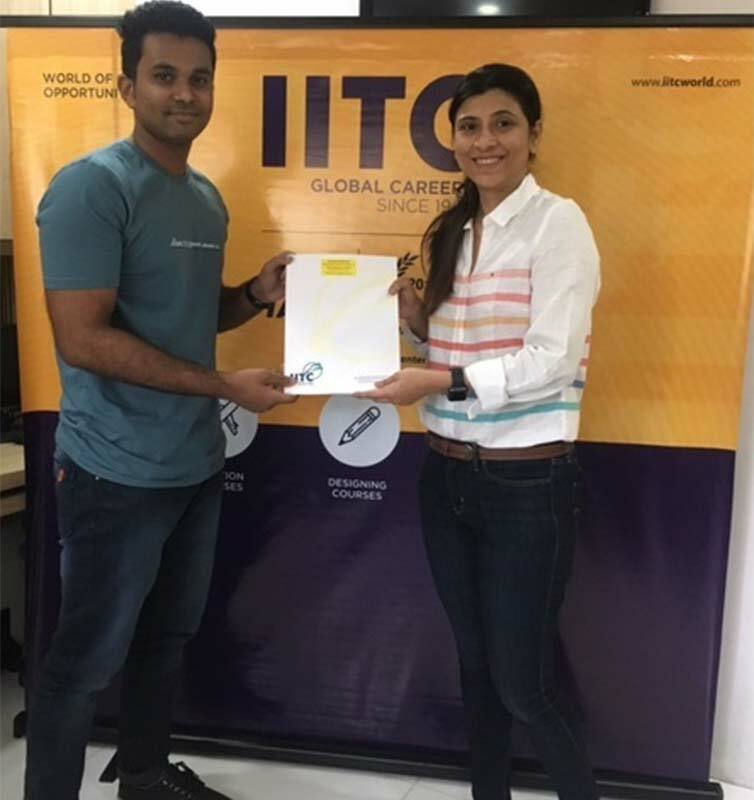 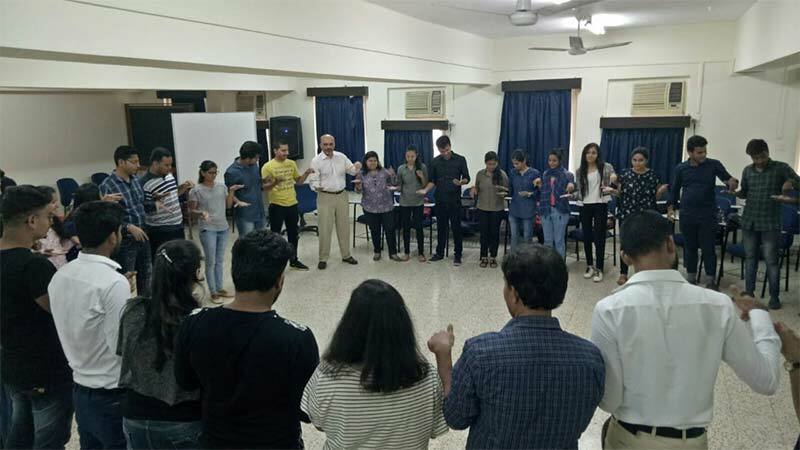 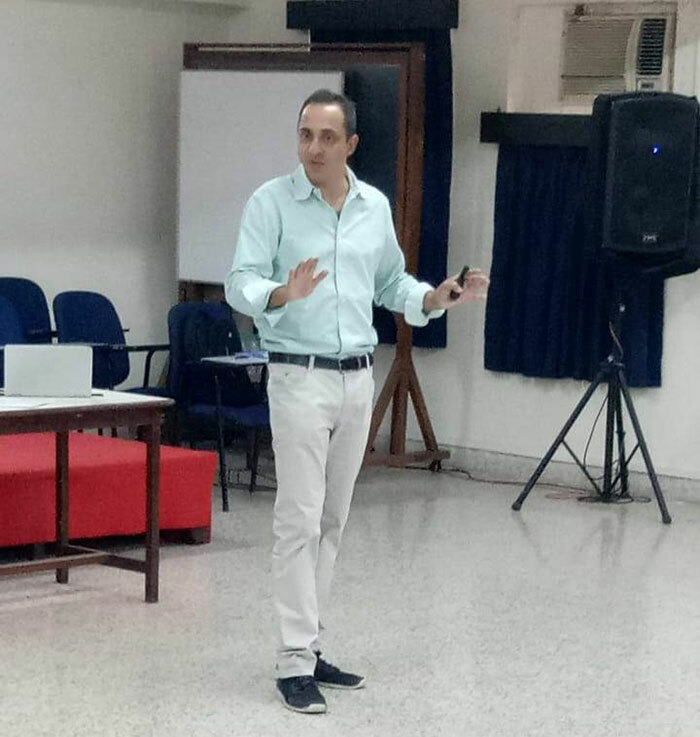 IITC had organized a WORKSHOP on SOFT SKILLS for their IATA Students, conducted by Mr. JATIN K. SHETH a Certified Performance Coach, Certified Trainer in Behavioural Skills, Certified Experiential Learning Facilitator, and Certified NLP Practitioner. 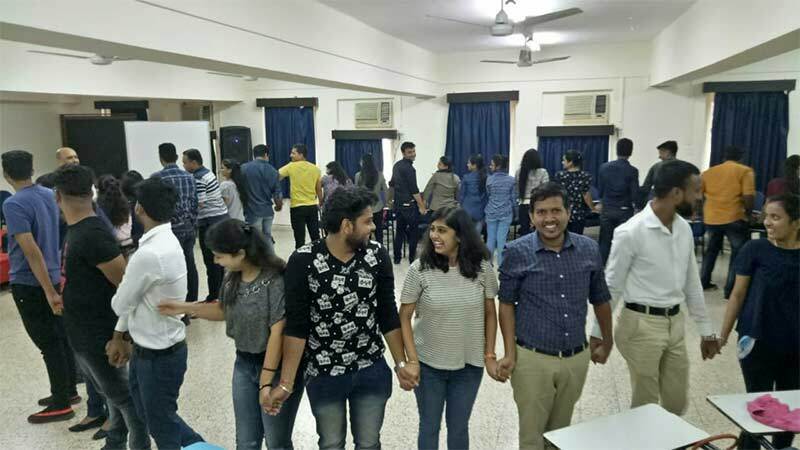 This interactive workshop helped the participants learn & recognize the qualities of communication, and practice how exactly they need to be implemented in various business contexts and situations, and how certain desirable behaviours can be turned into lifelong good habits. 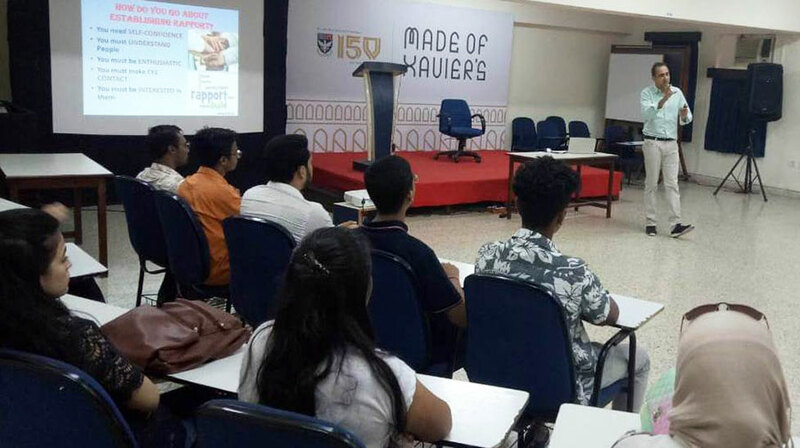 Participants found the workshop to be extremely interesting, very knowledgeable & useful. 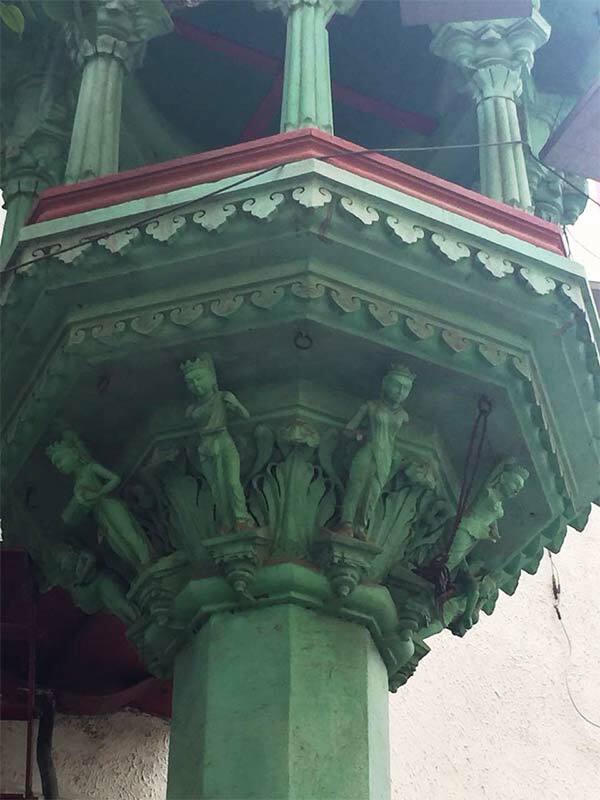 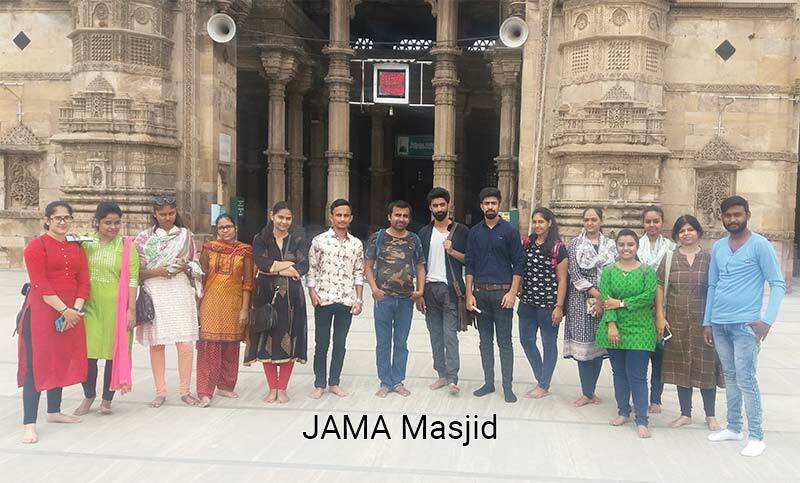 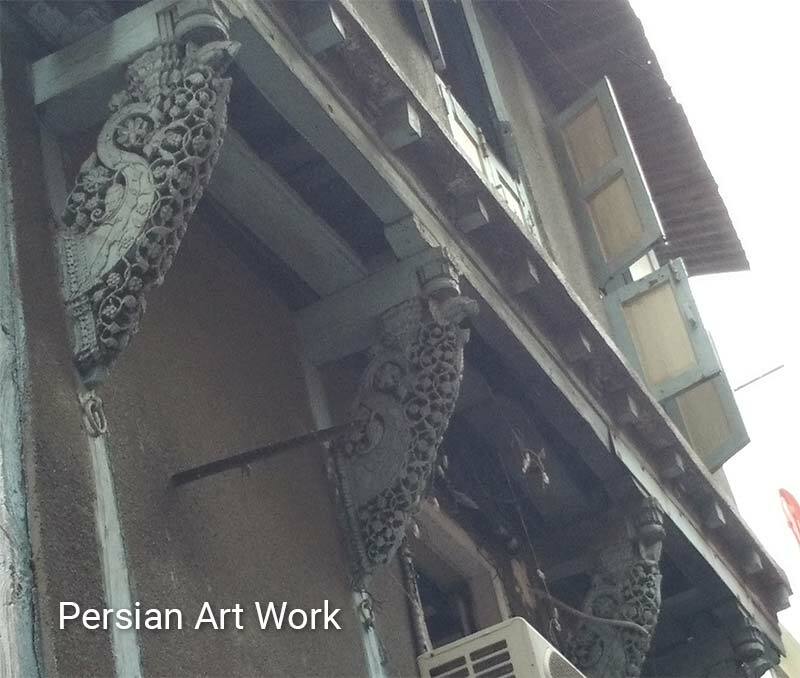 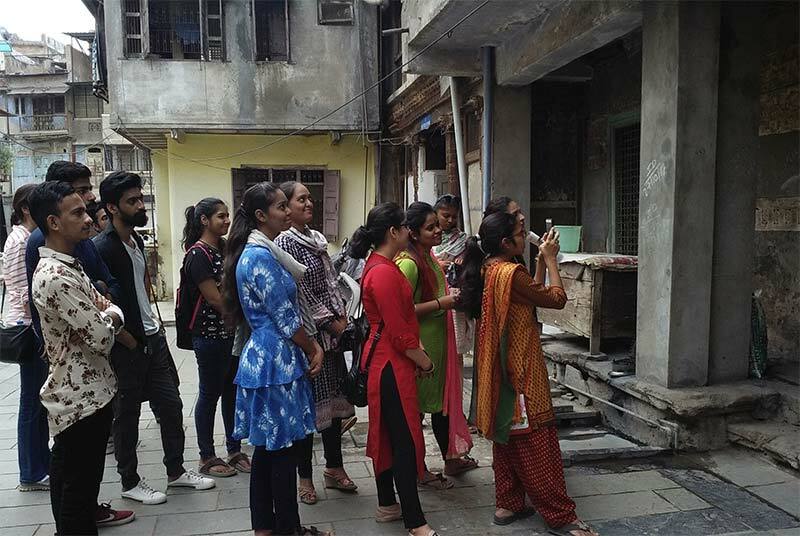 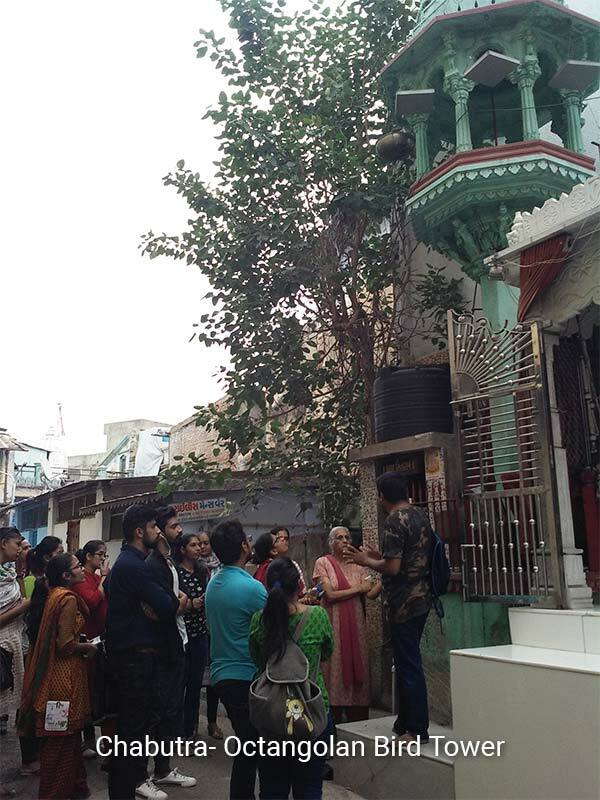 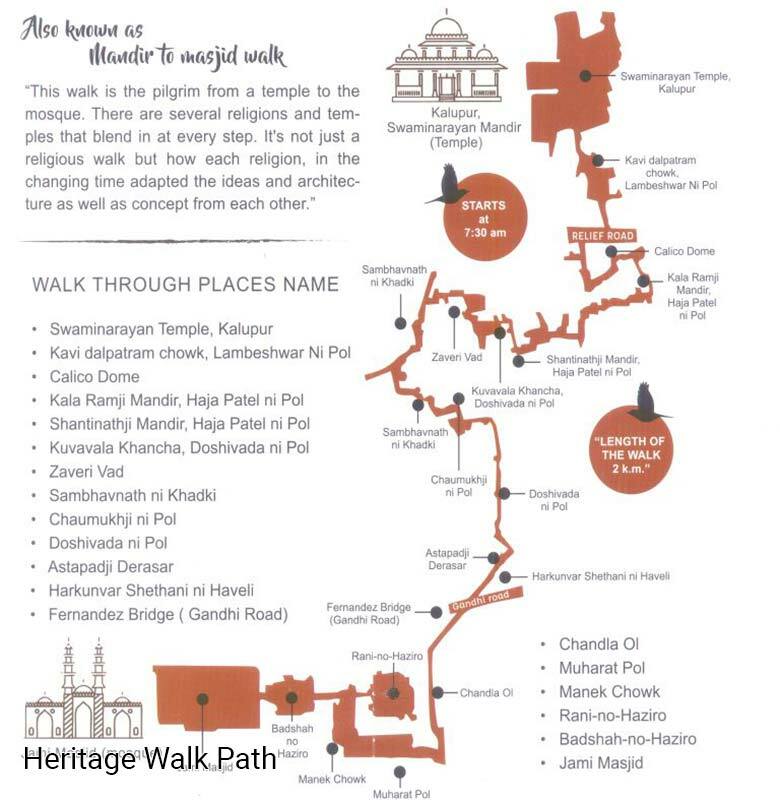 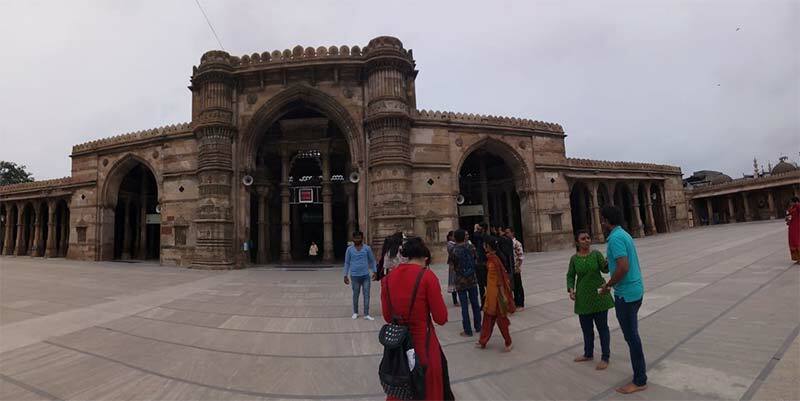 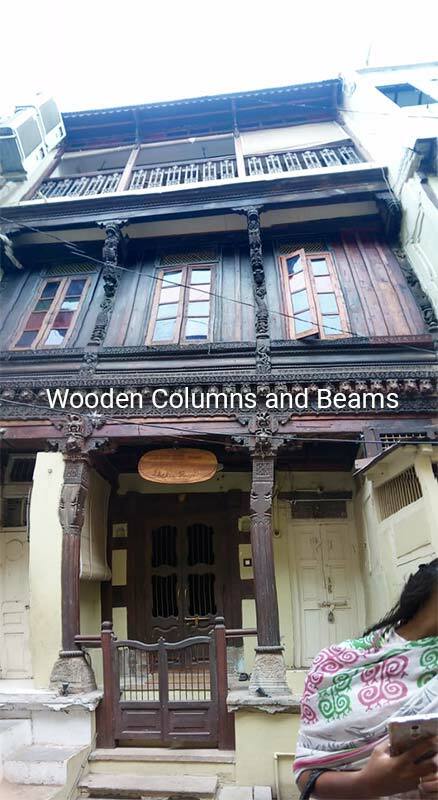 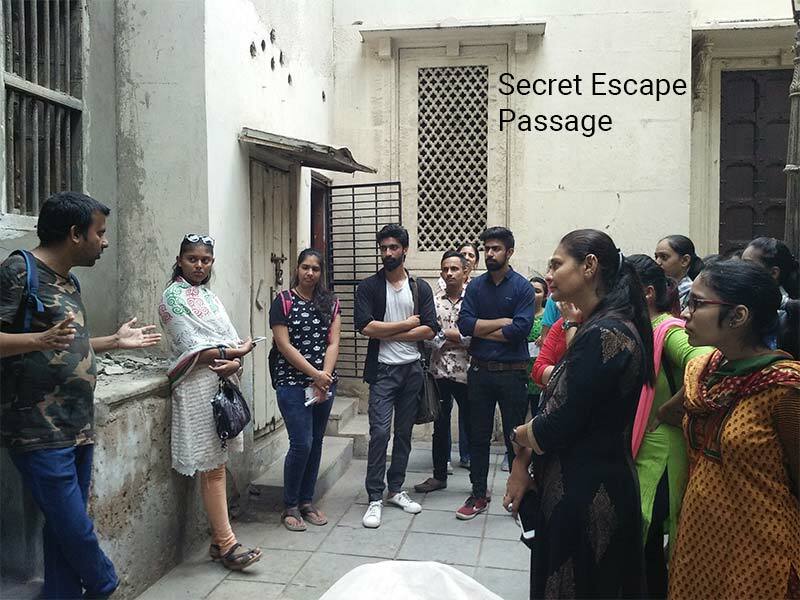 IITC had organized Heritage walk for Interior Designing and Travel & Tourism Management students of Ahmedabad center. 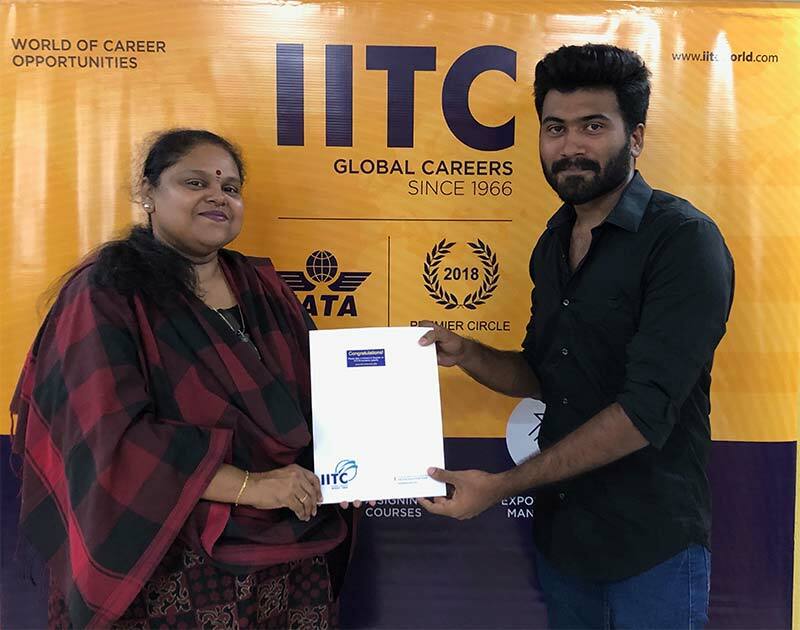 Eligibility Student should have Passed HSC (XII) examination from a recognized Board or other approved examination equivalent to HSC (XII) and having IATA certification (preferred) which you can learn at IITC. 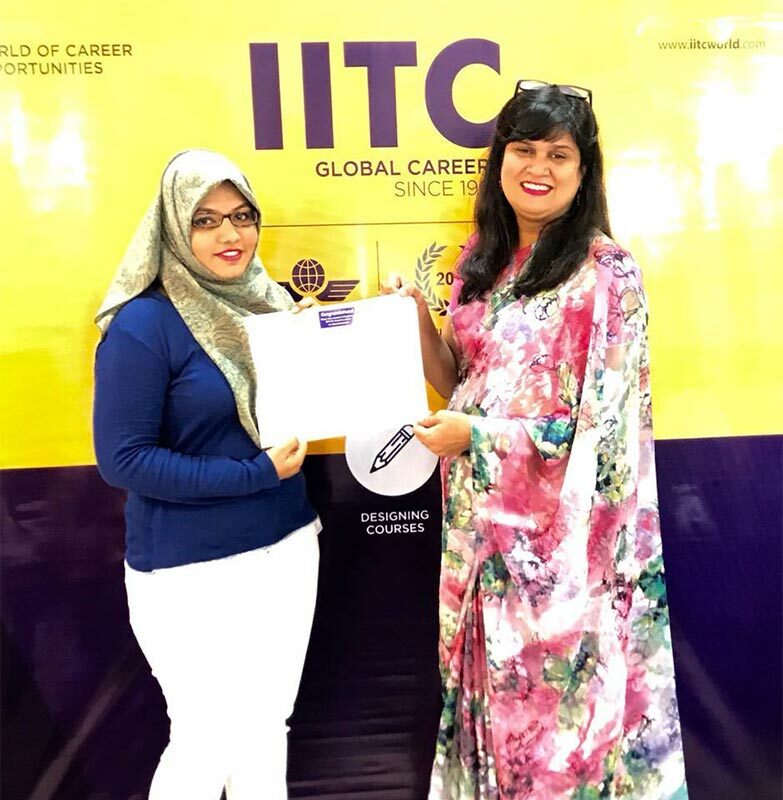 Kindly check individual courses for curriculum details and duration.